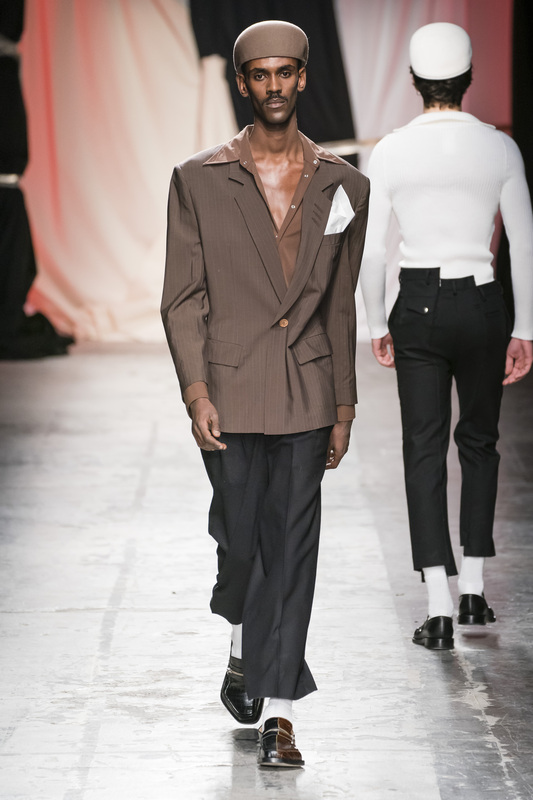 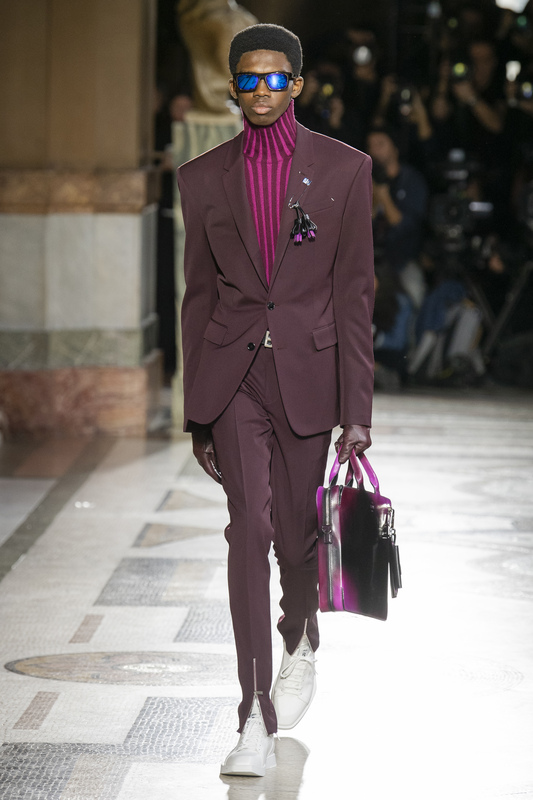 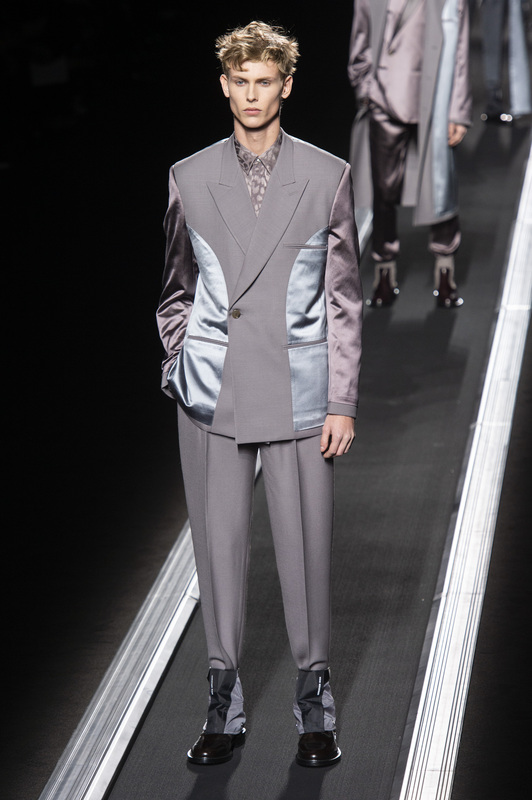 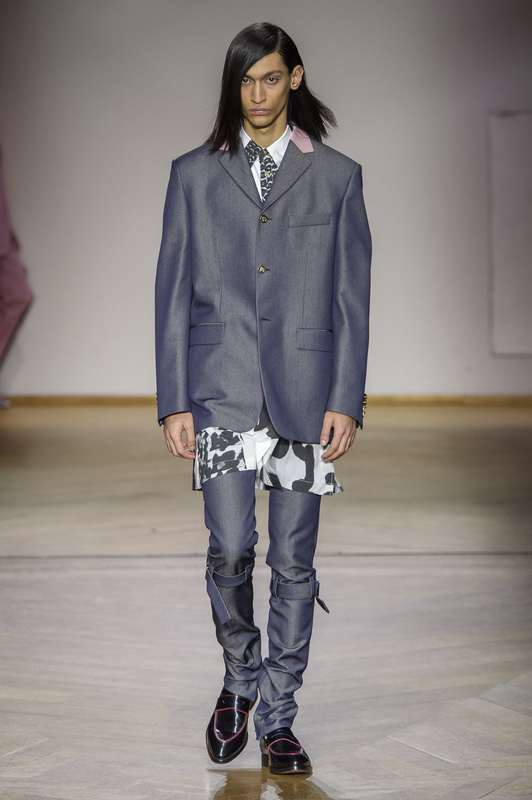 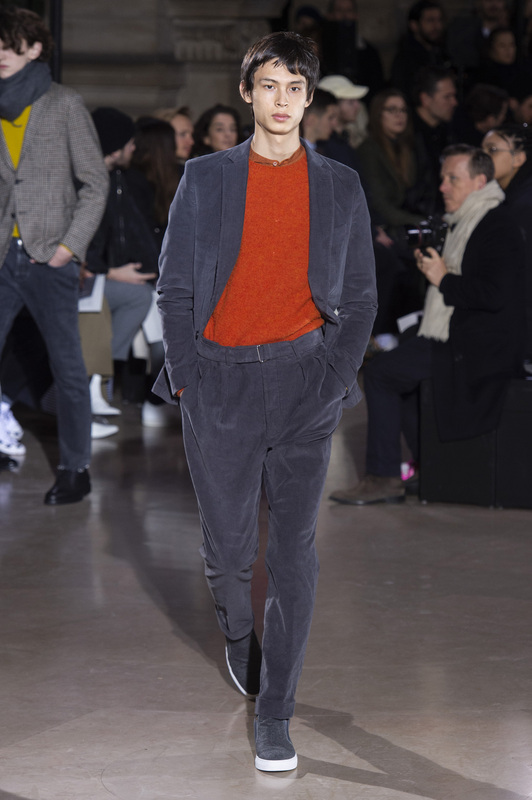 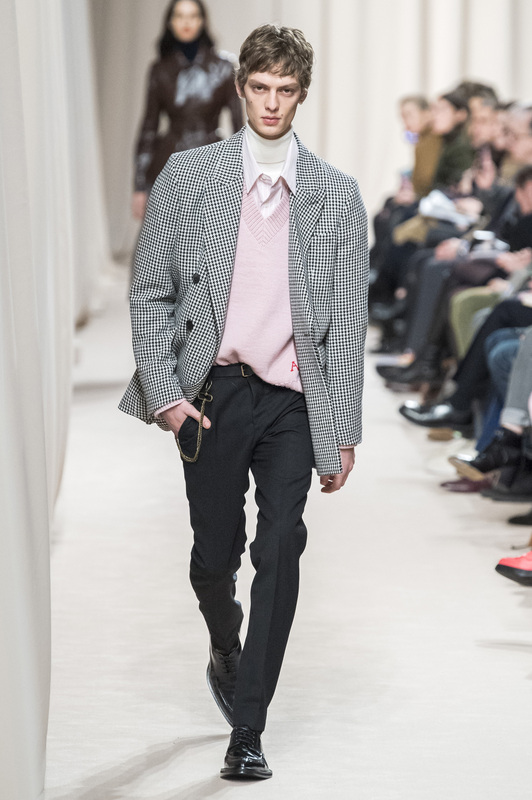 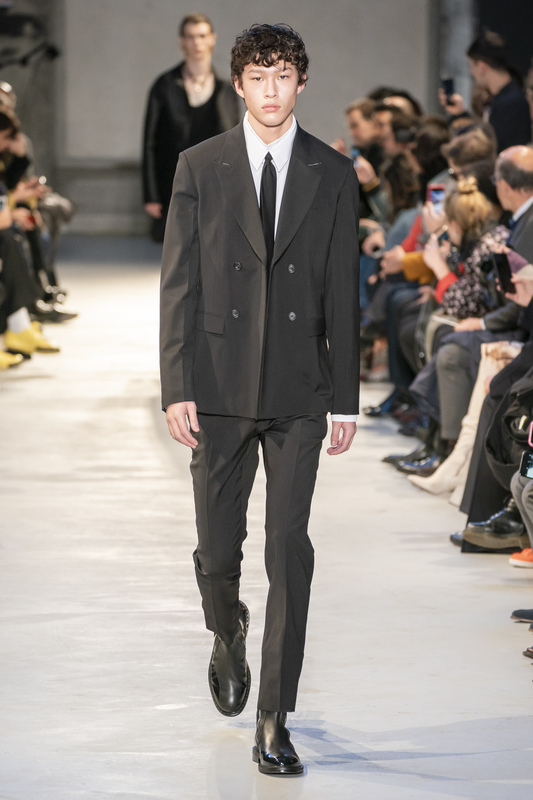 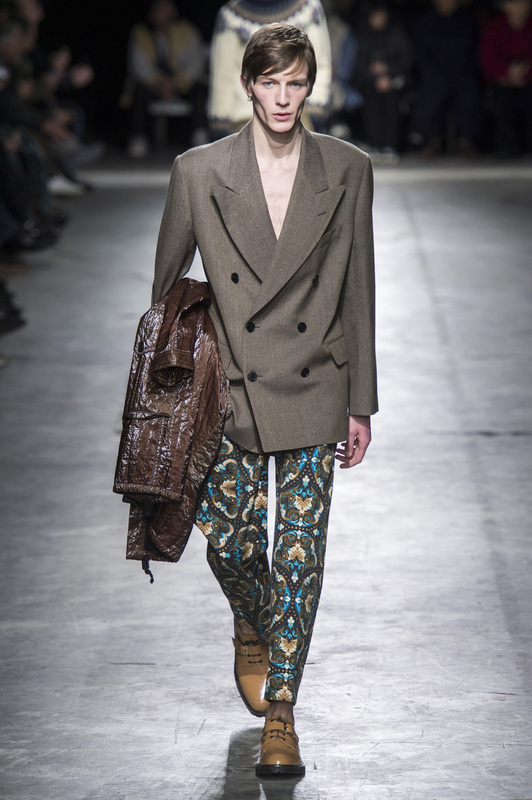 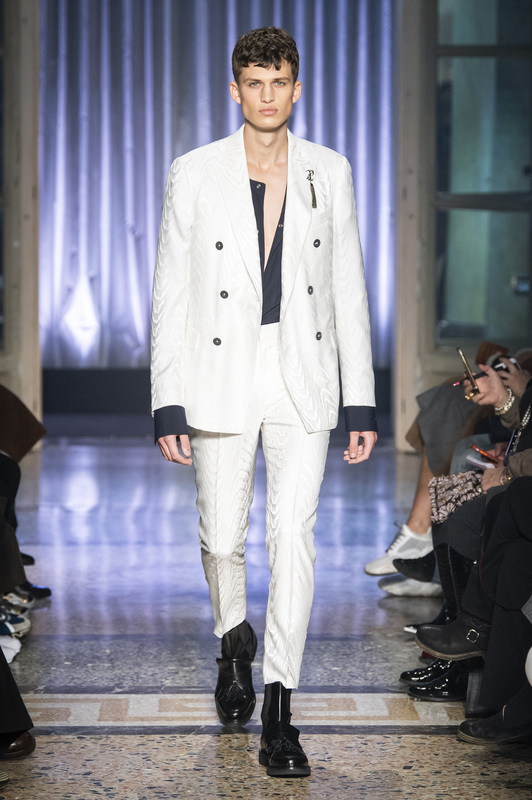 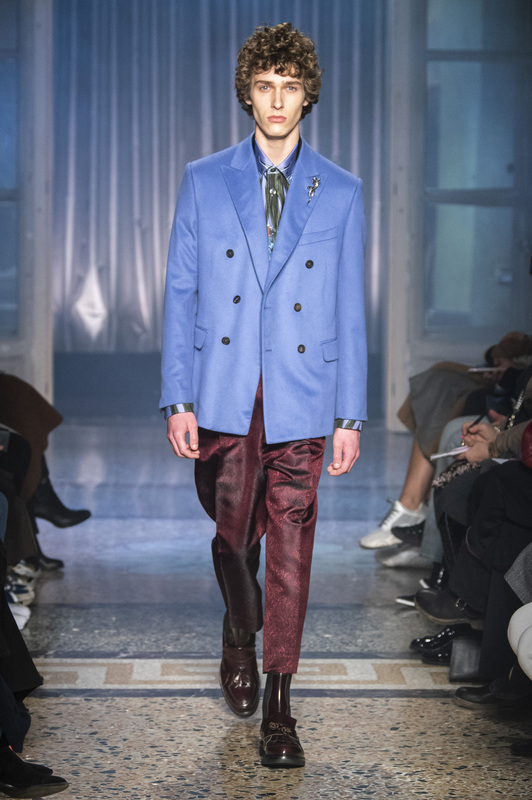 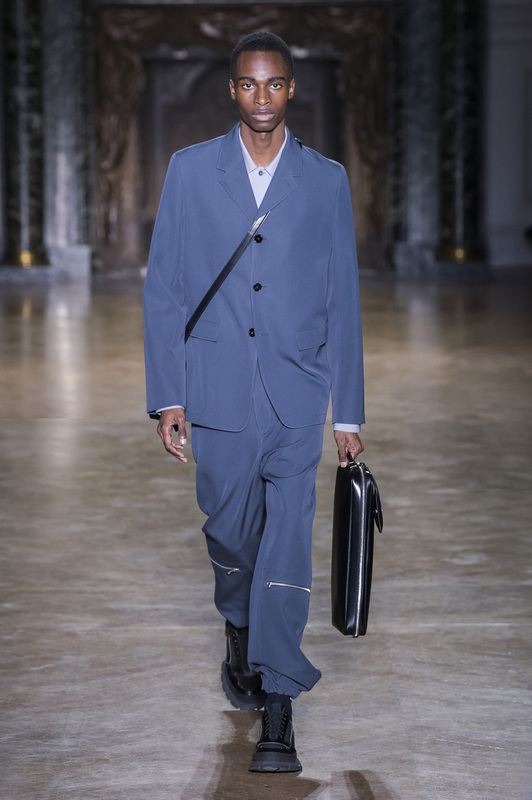 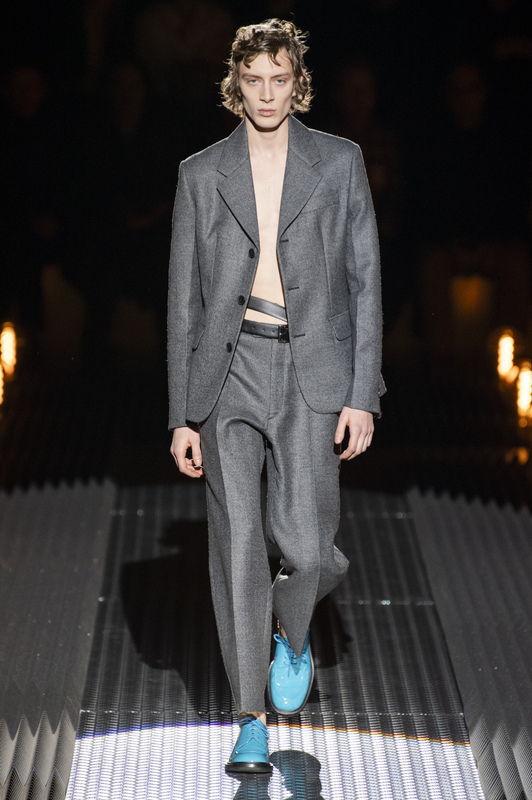 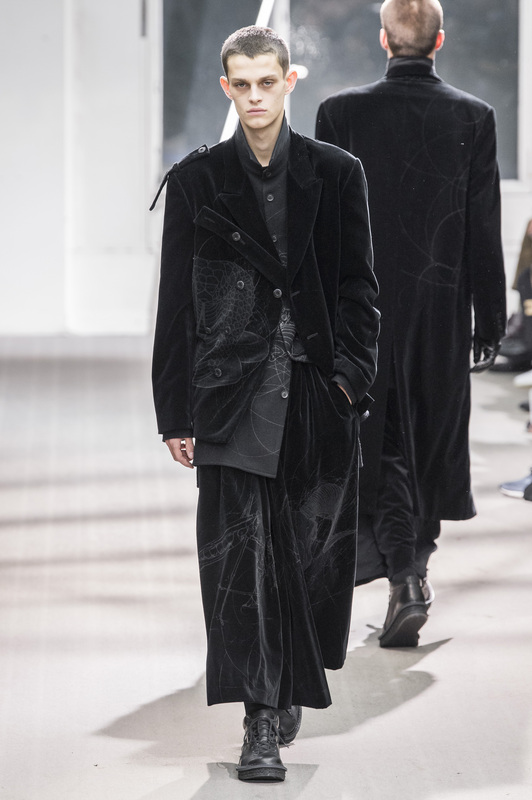 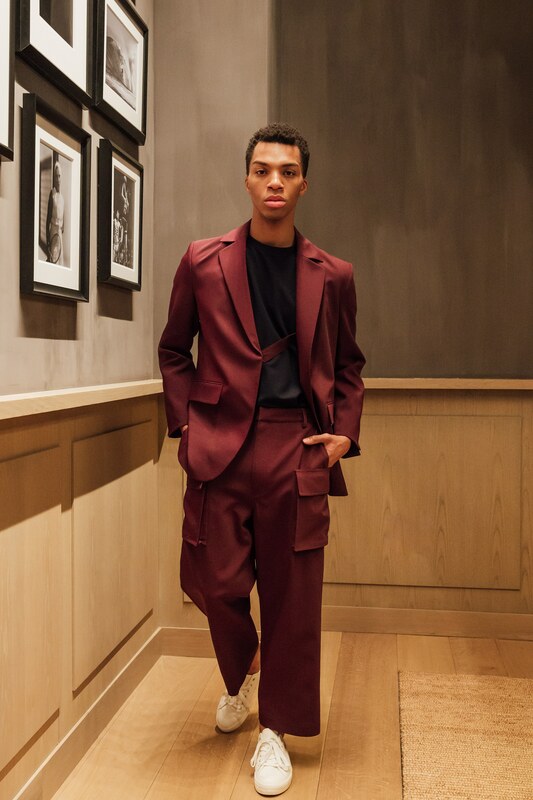 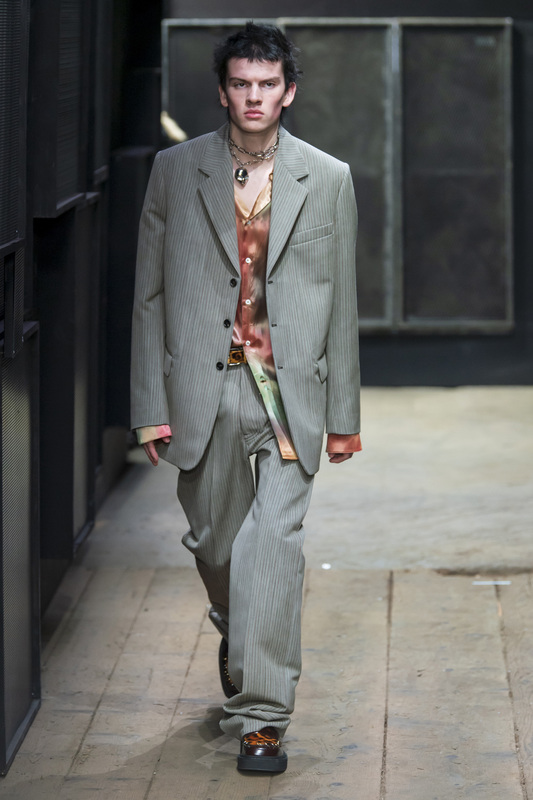 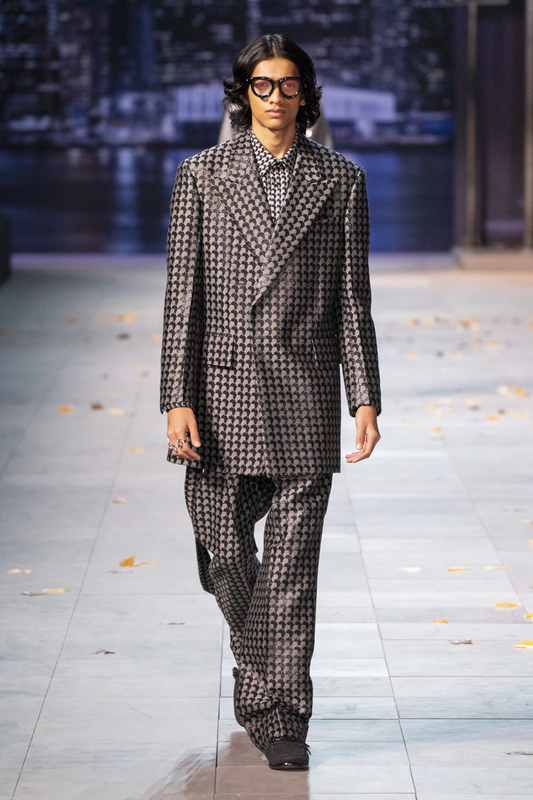 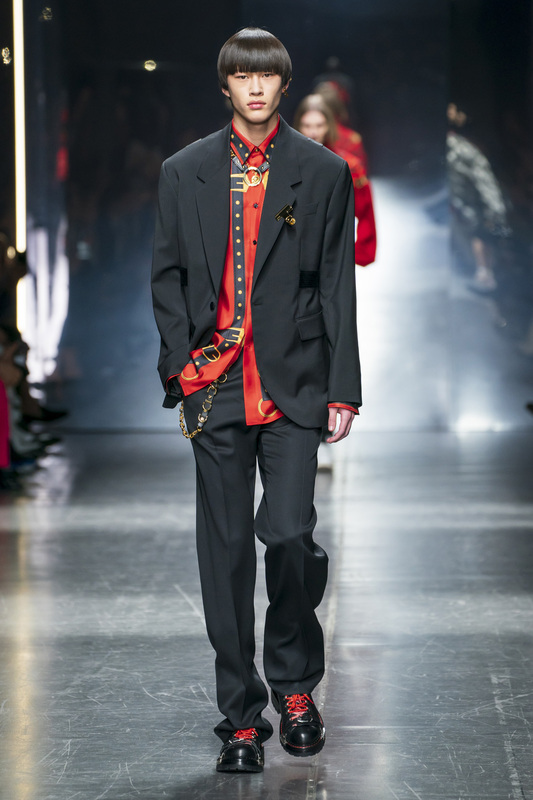 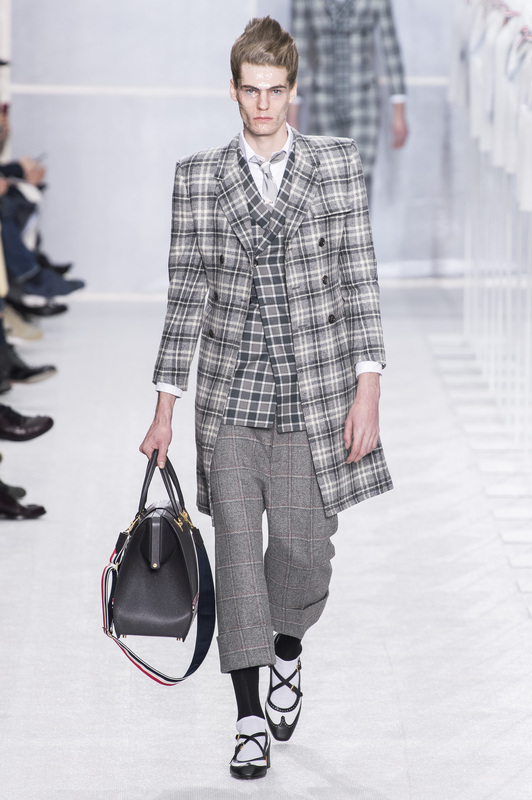 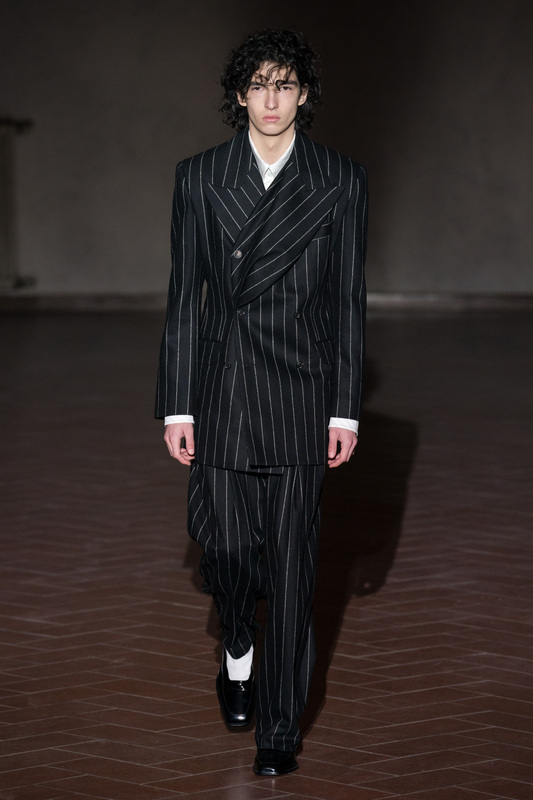 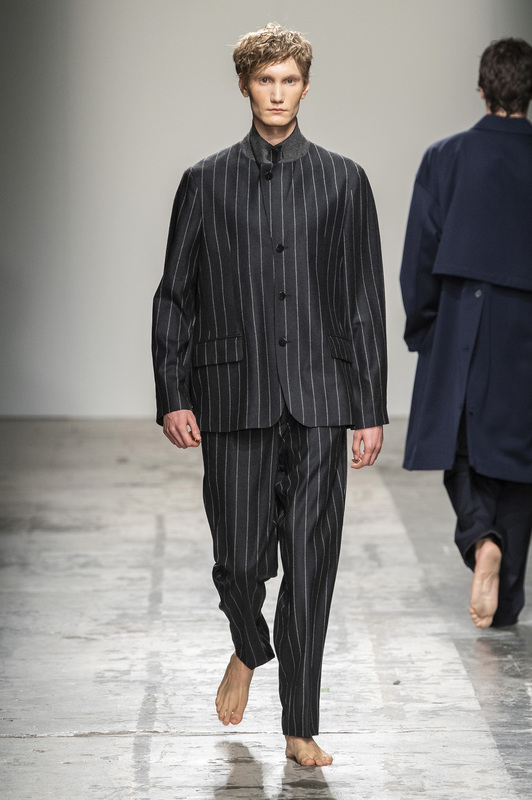 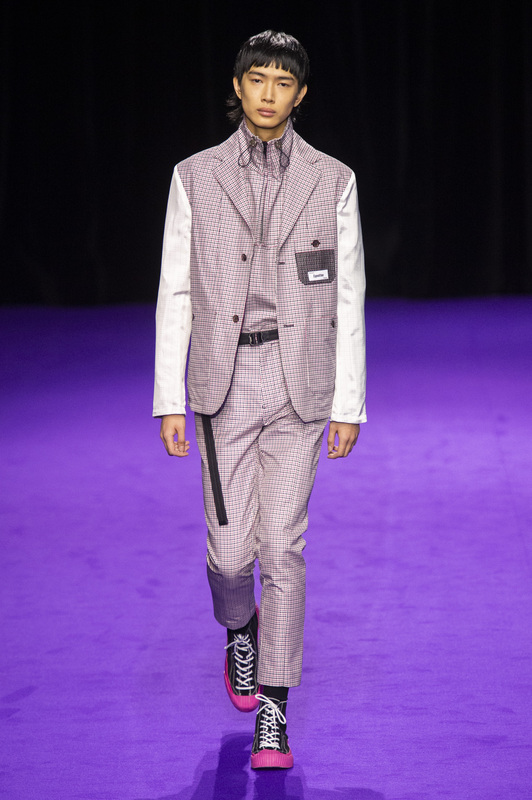 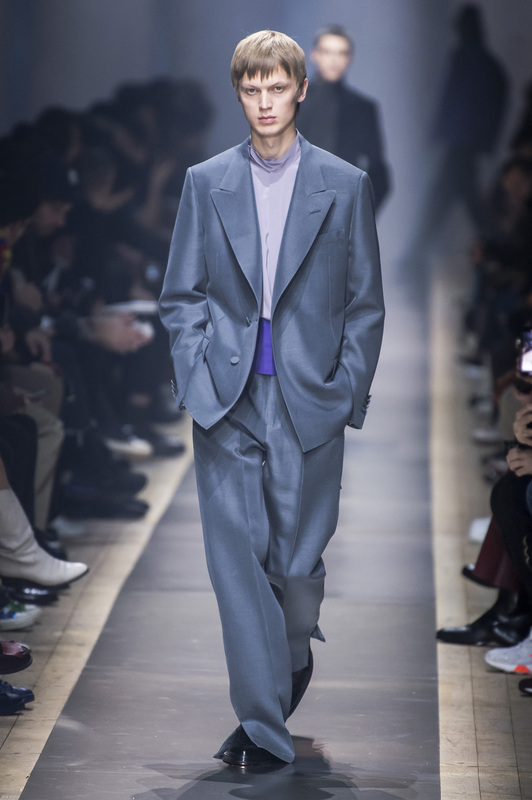 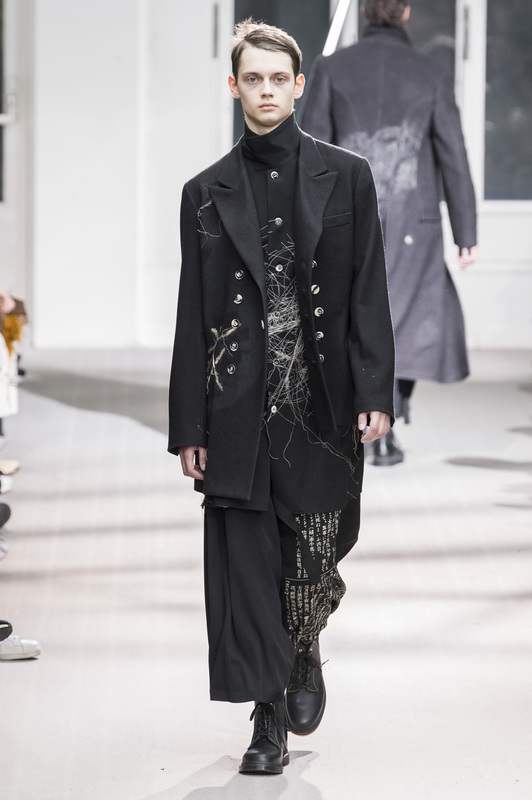 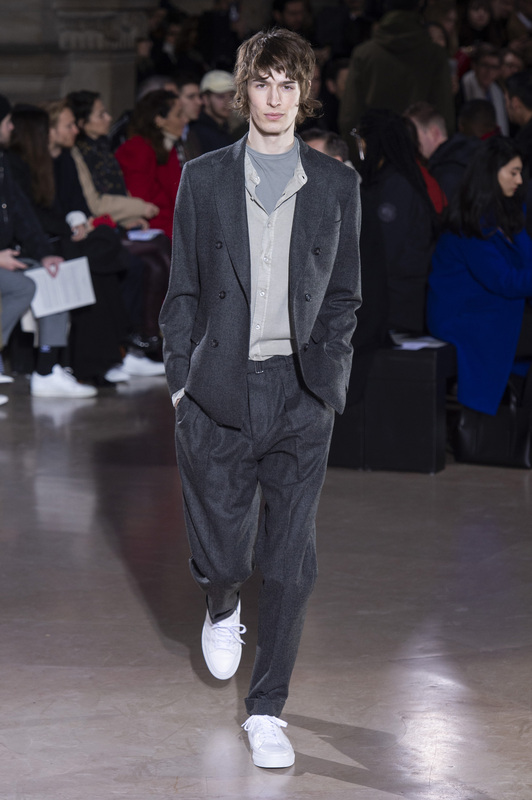 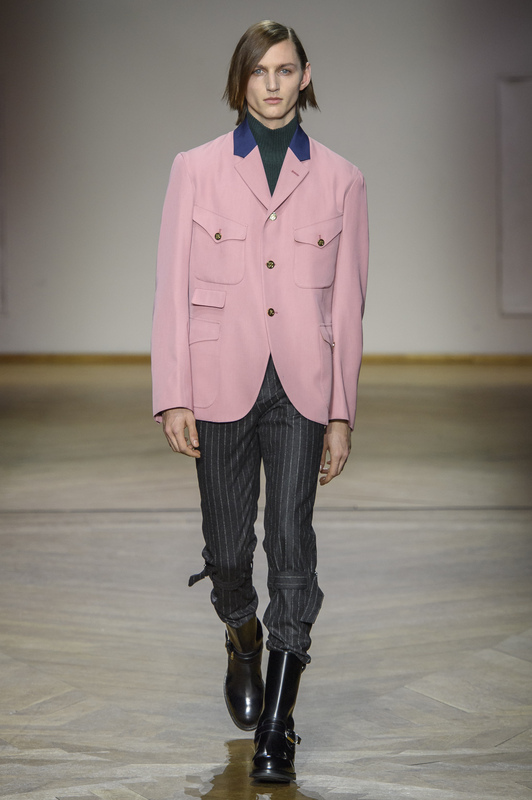 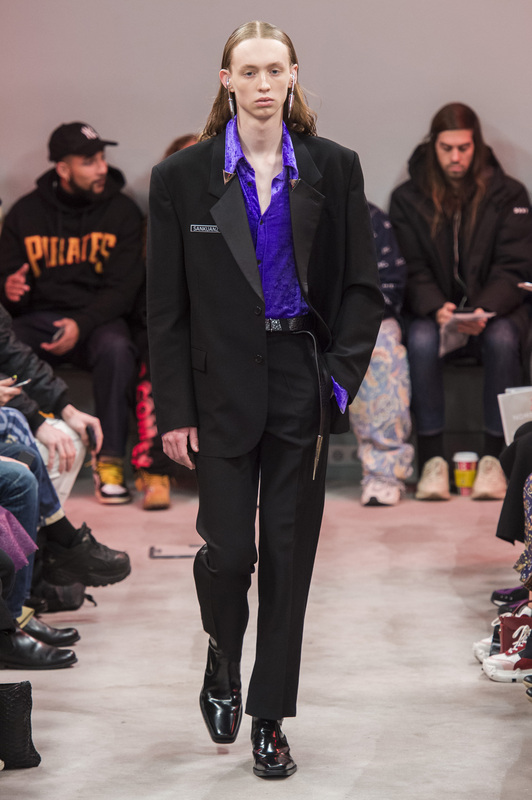 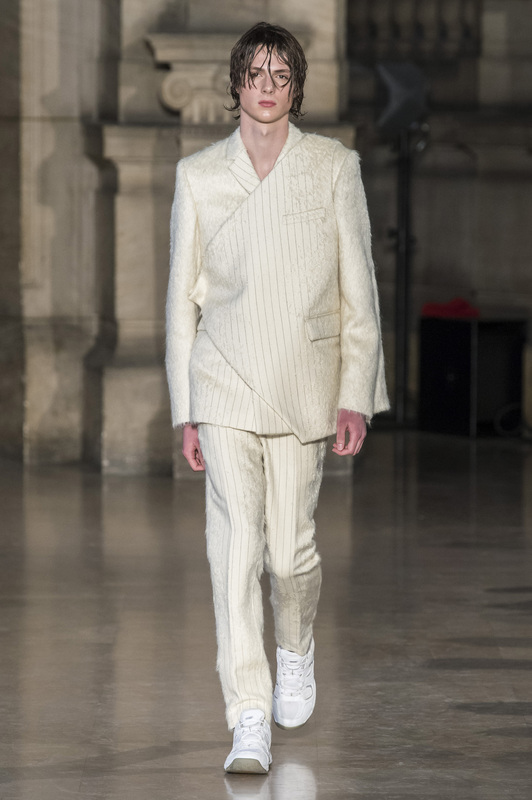 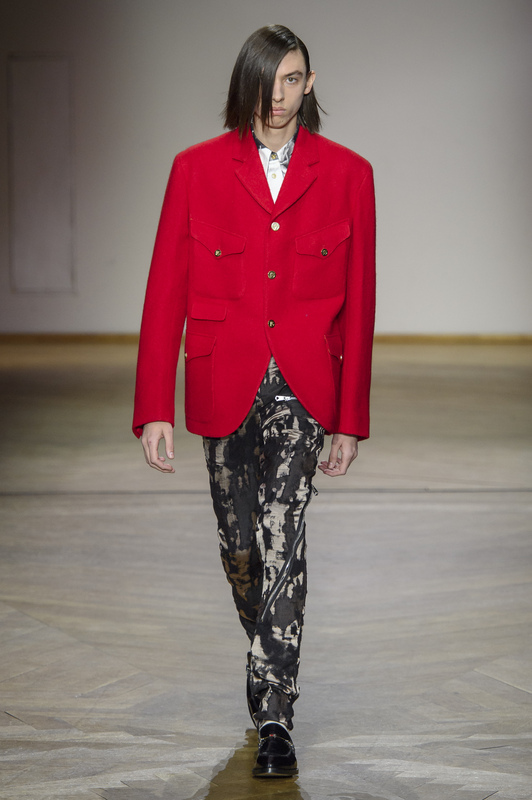 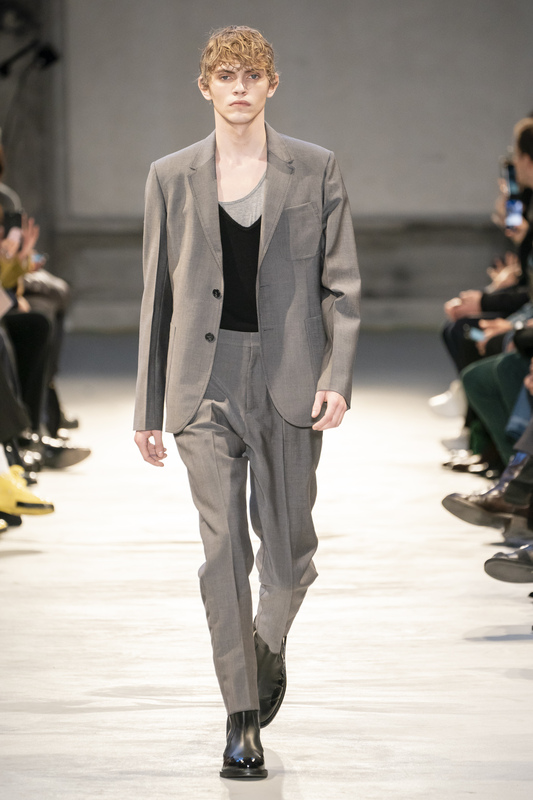 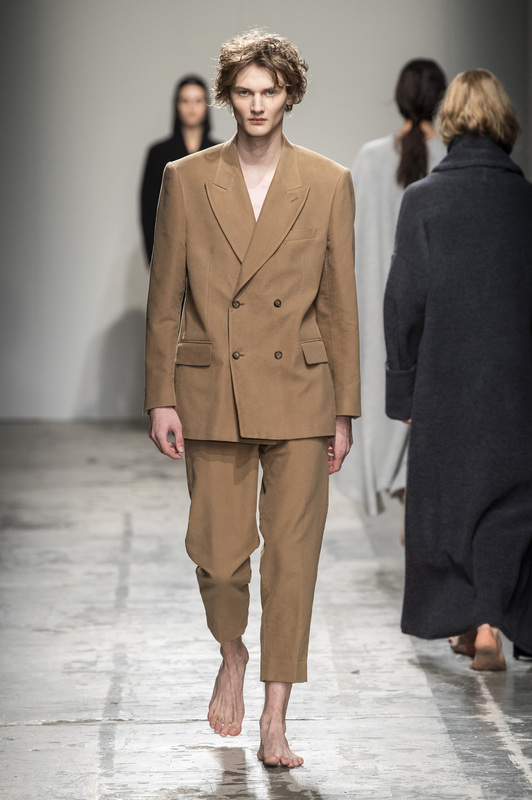 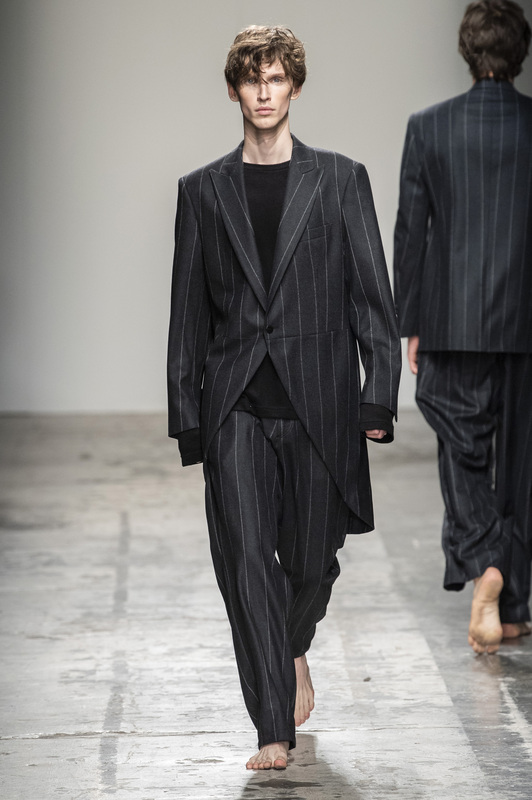 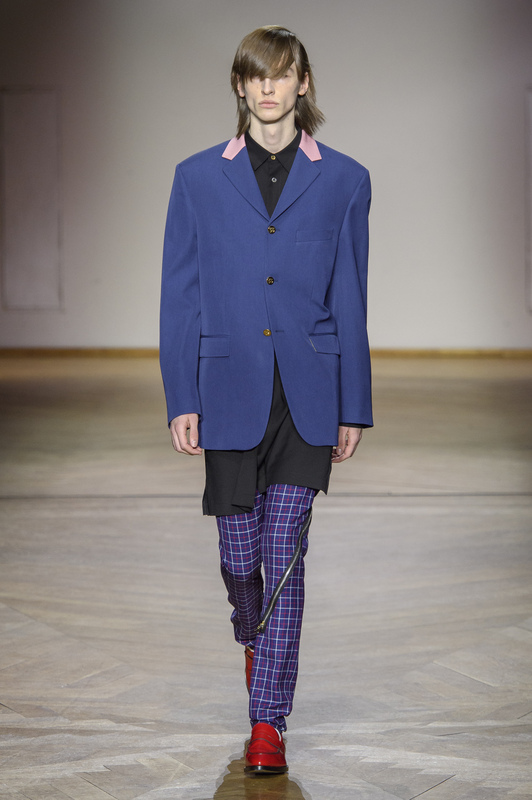 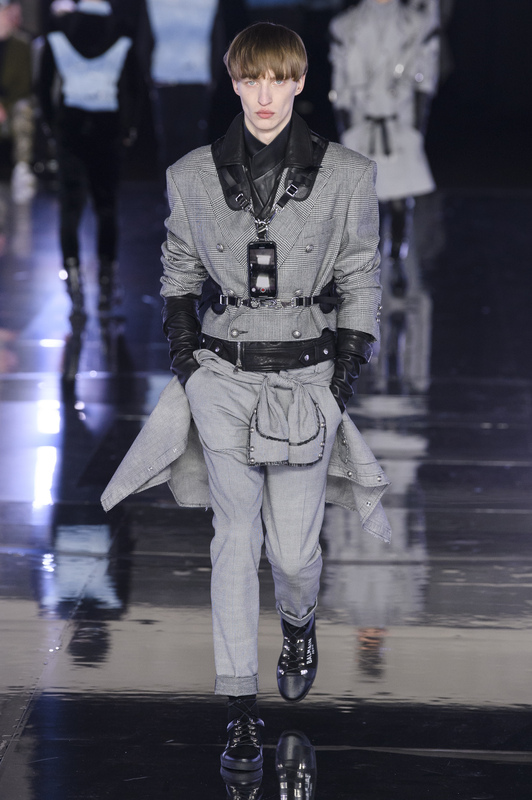 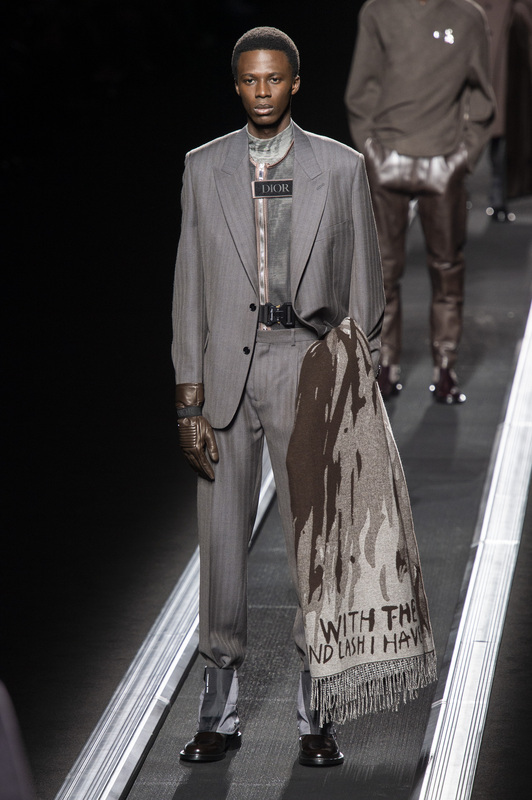 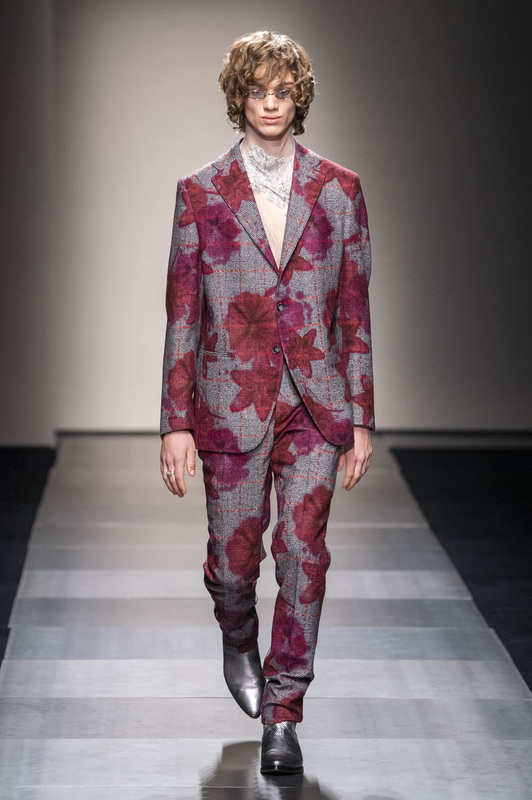 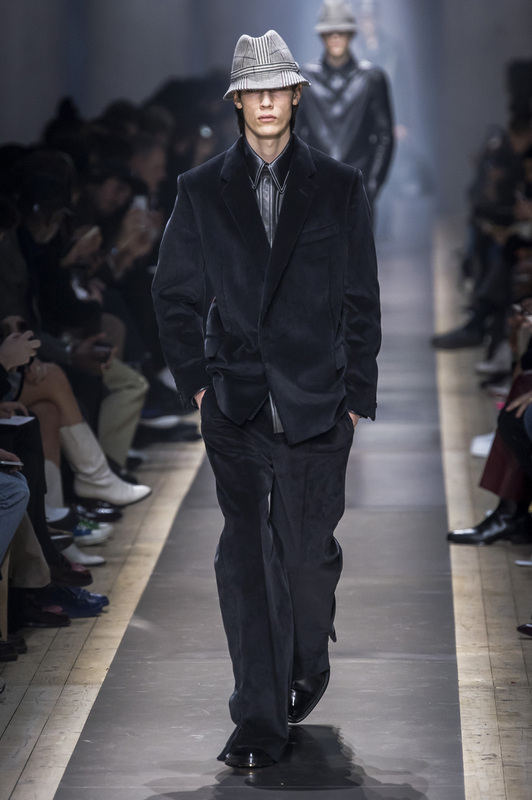 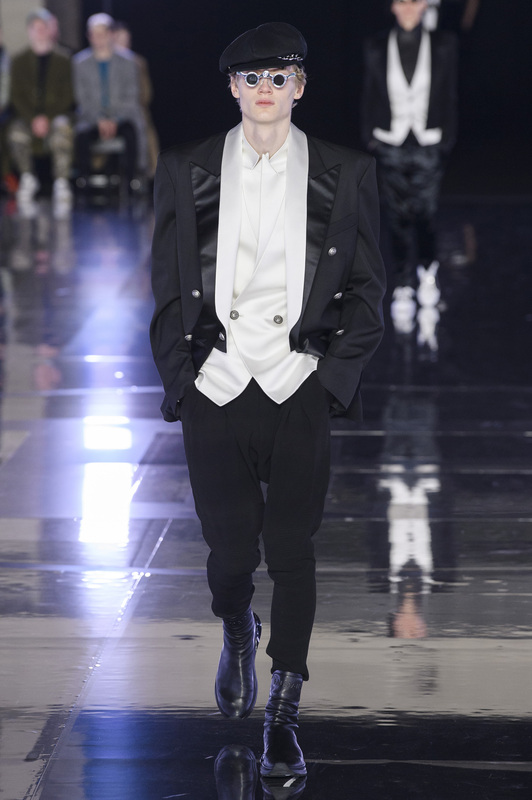 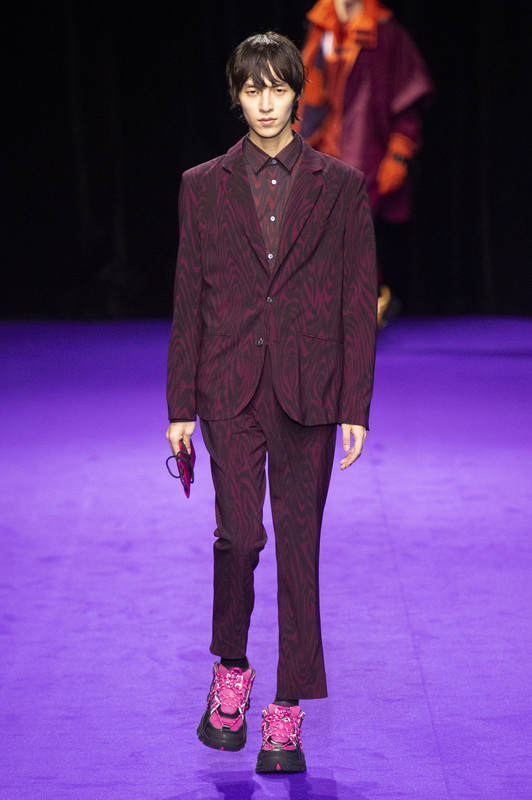 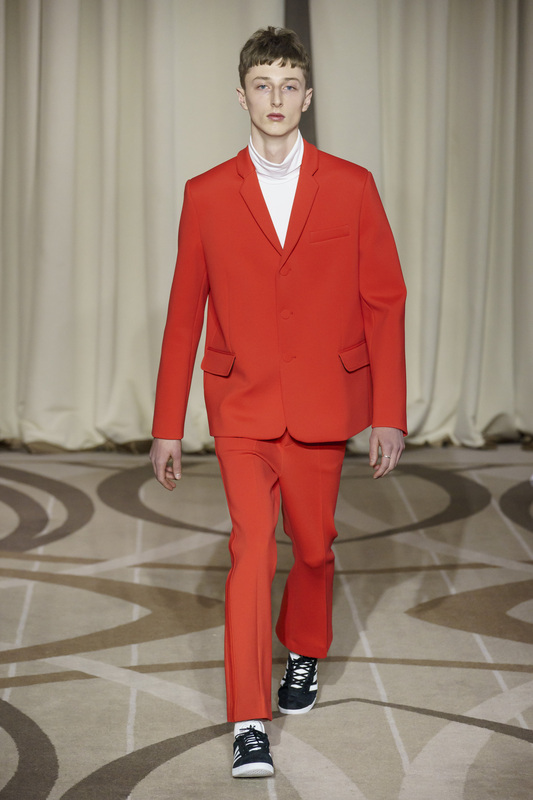 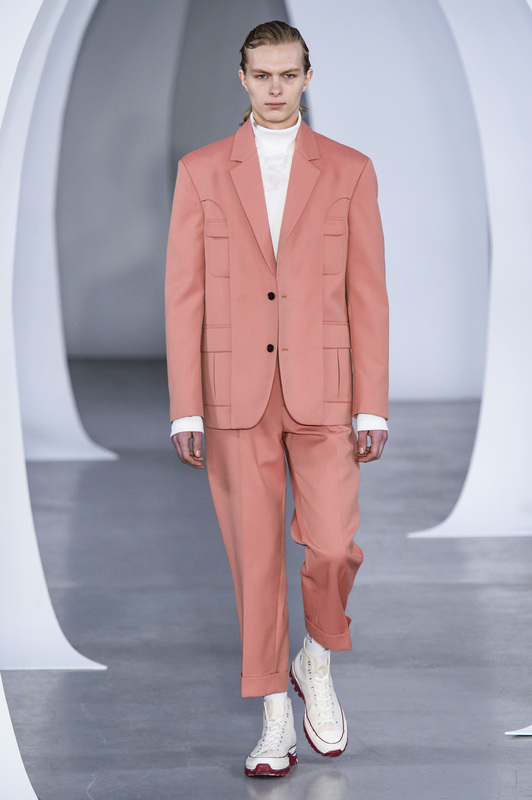 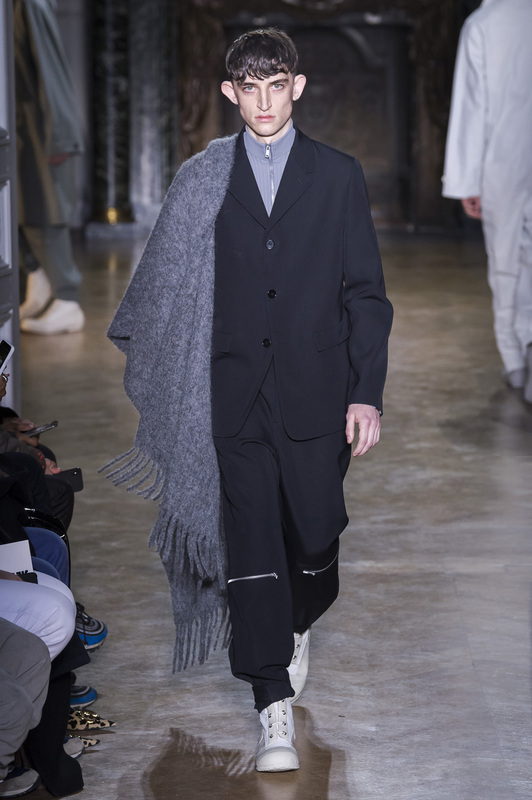 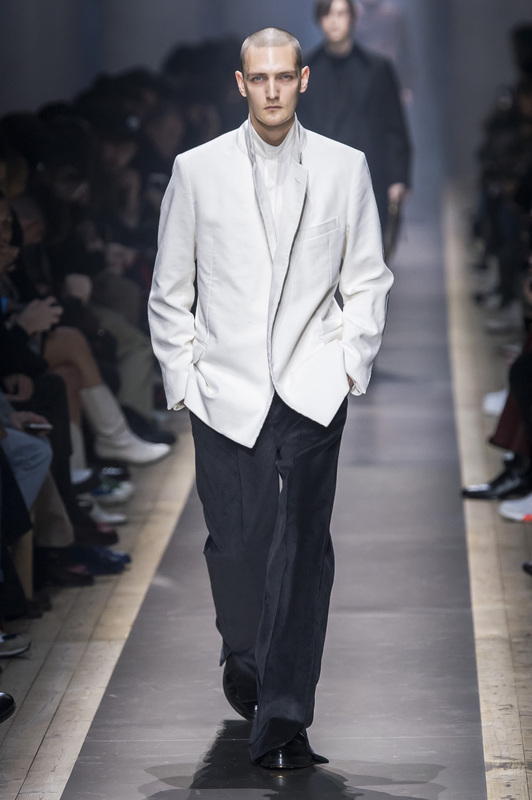 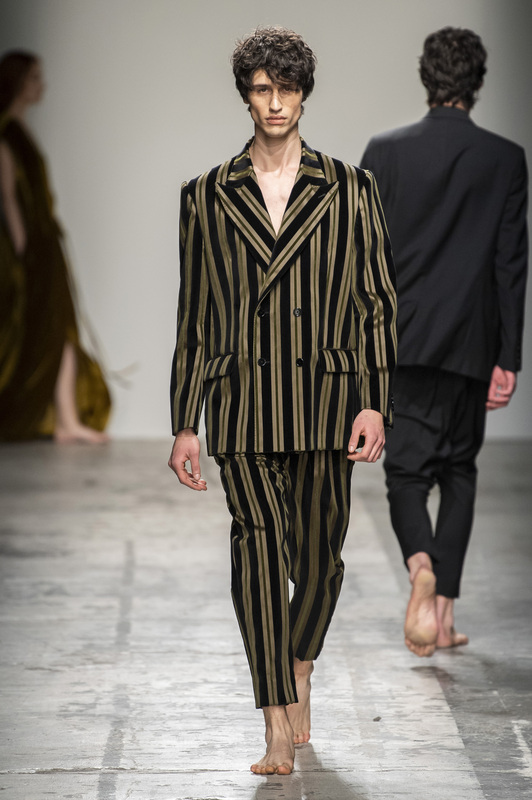 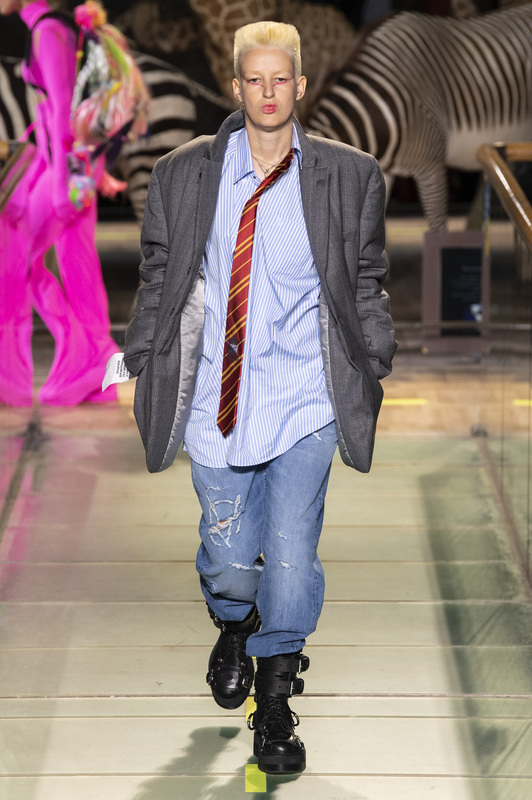 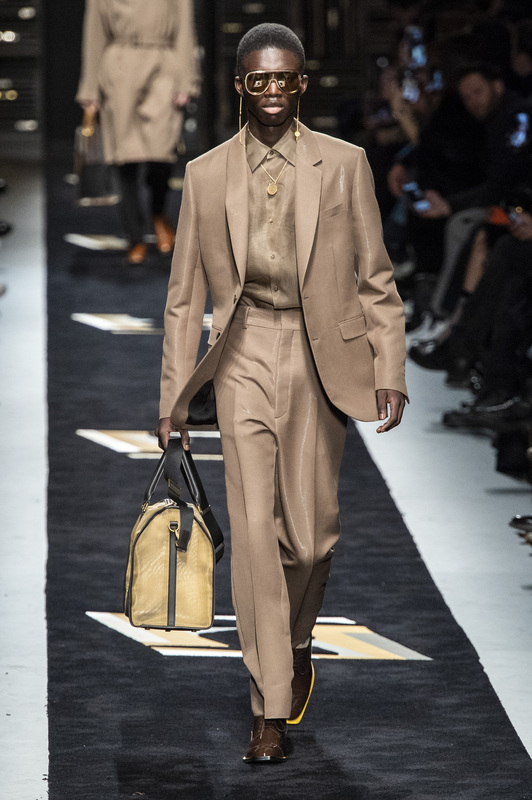 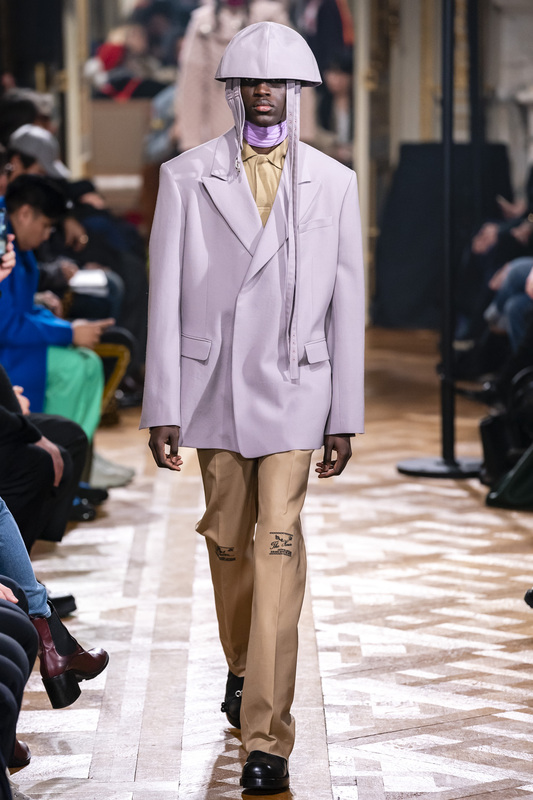 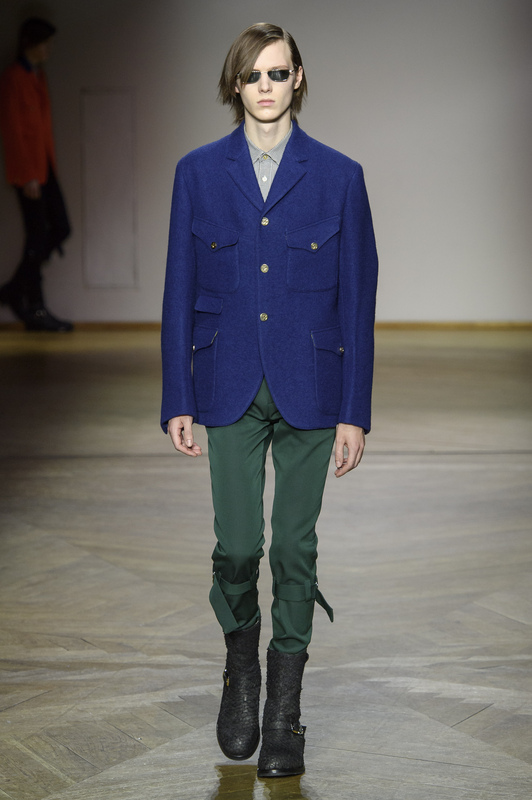 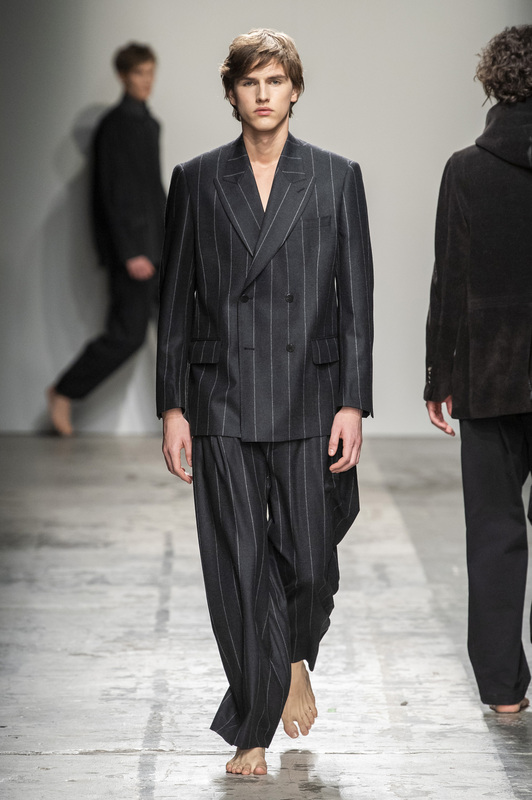 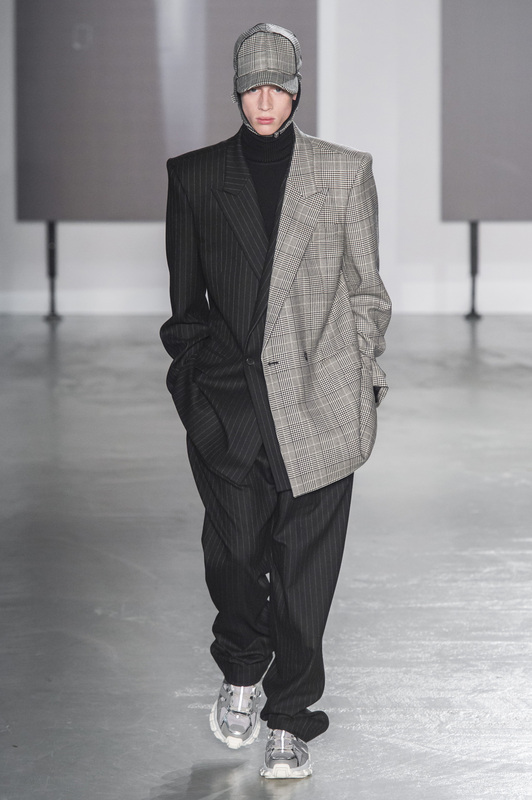 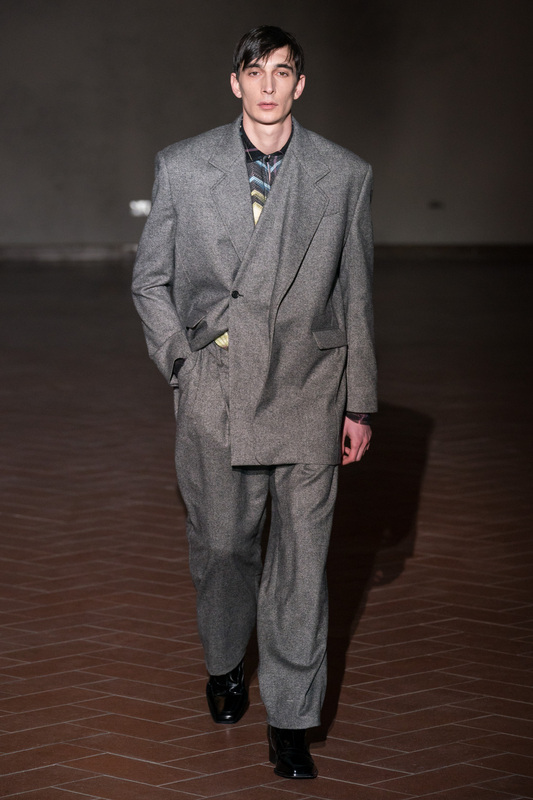 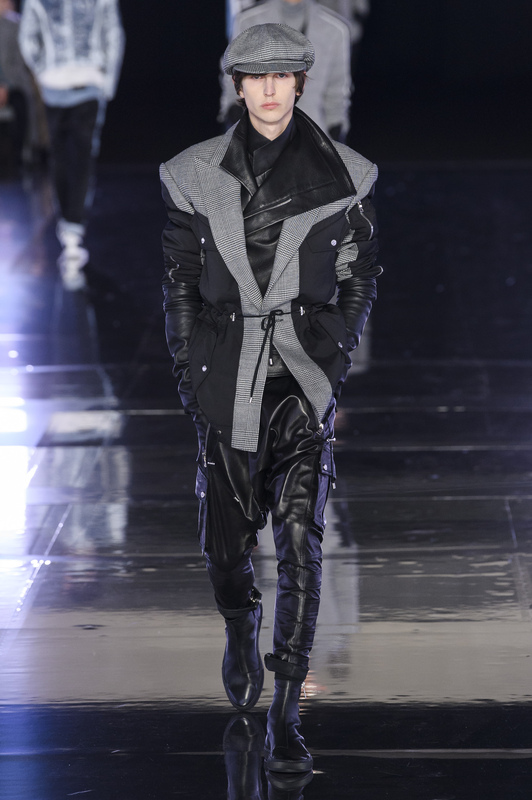 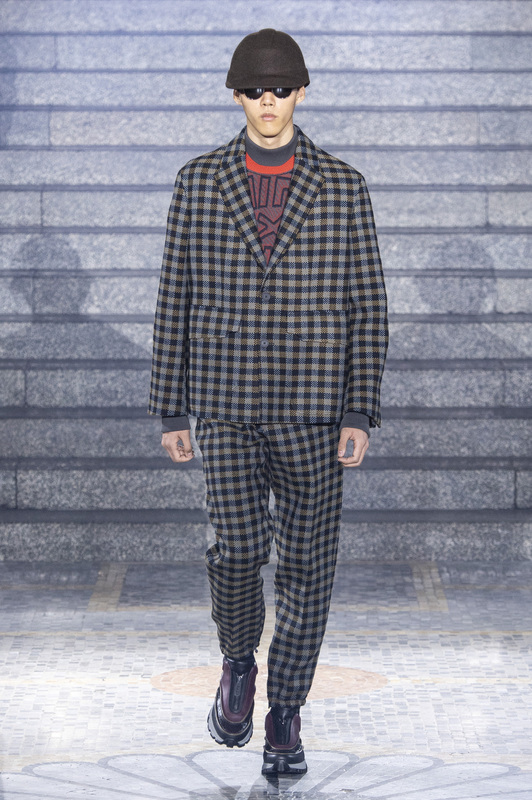 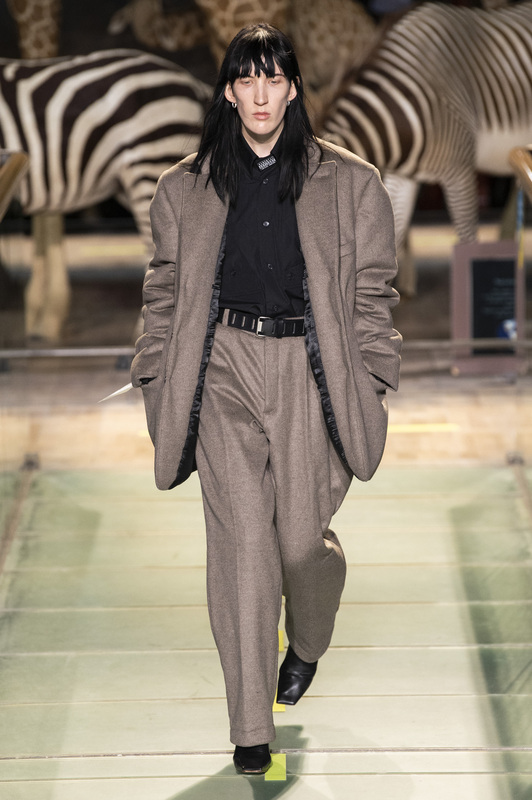 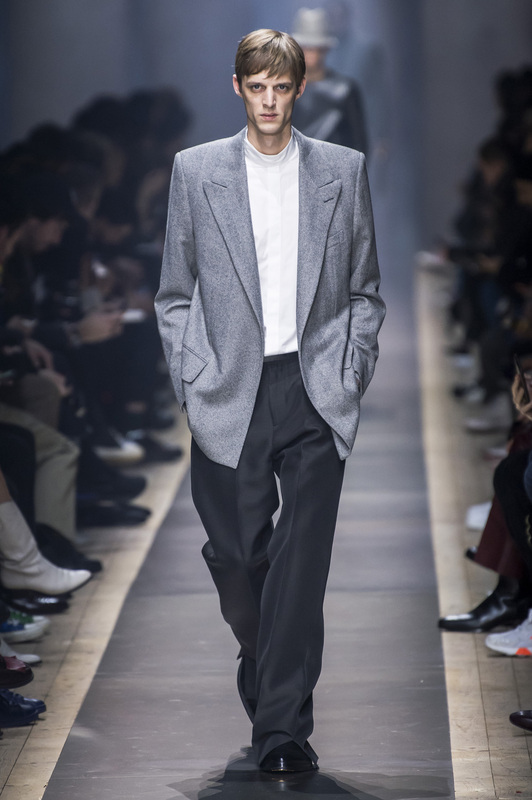 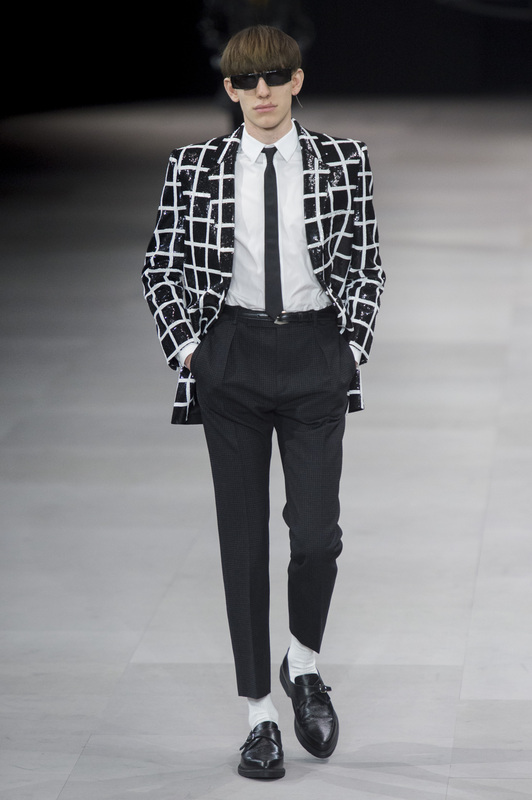 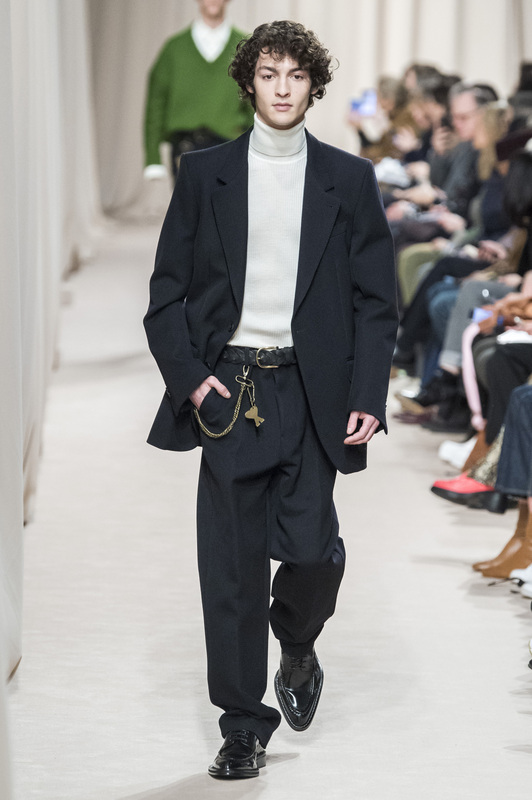 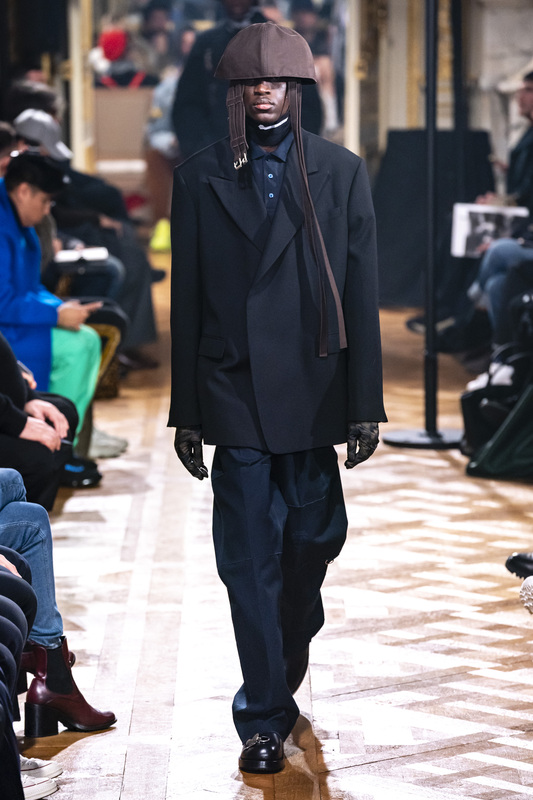 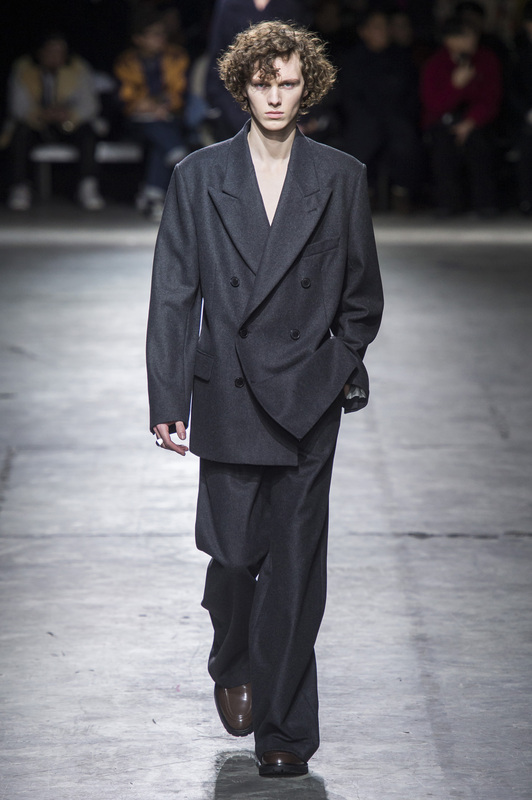 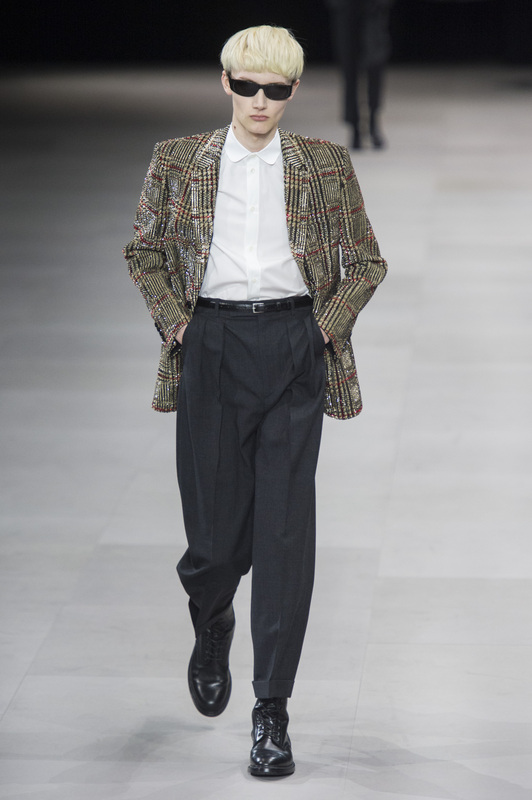 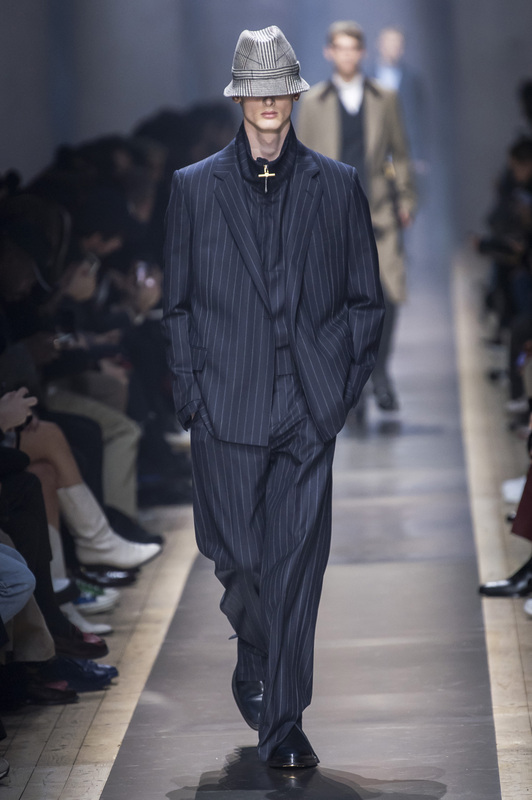 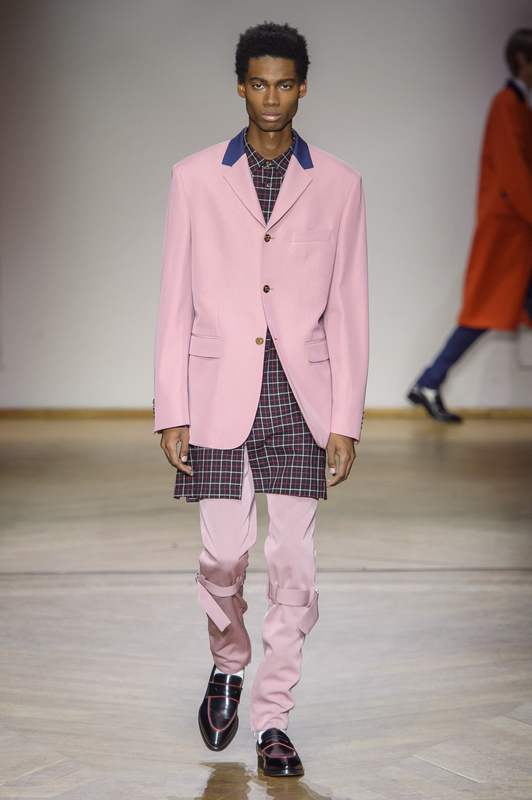 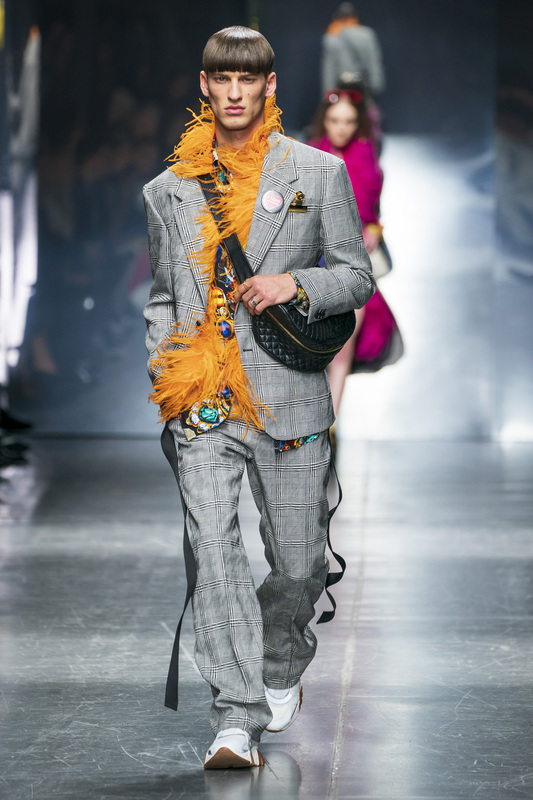 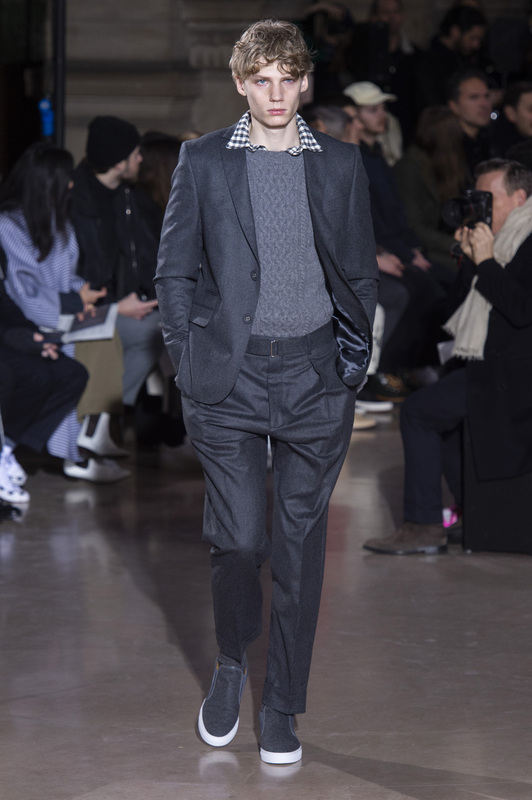 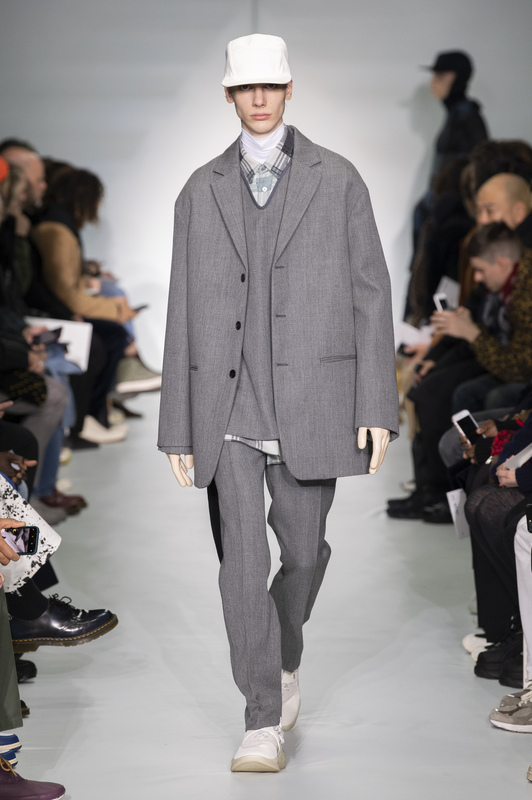 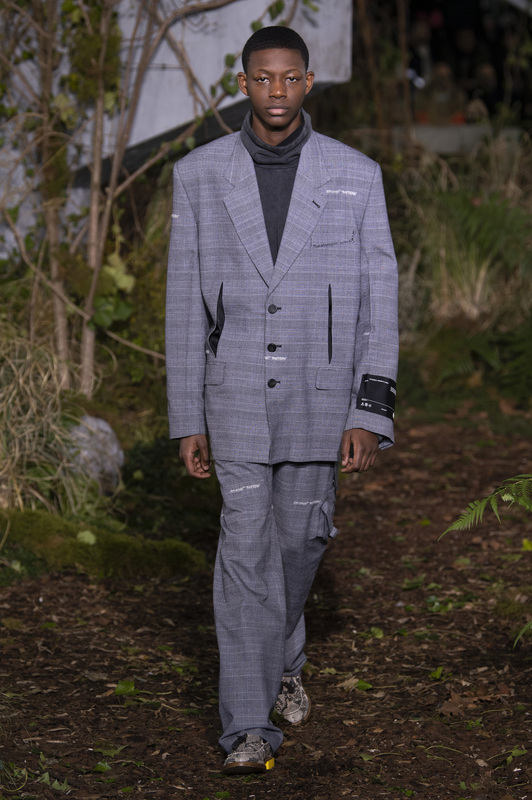 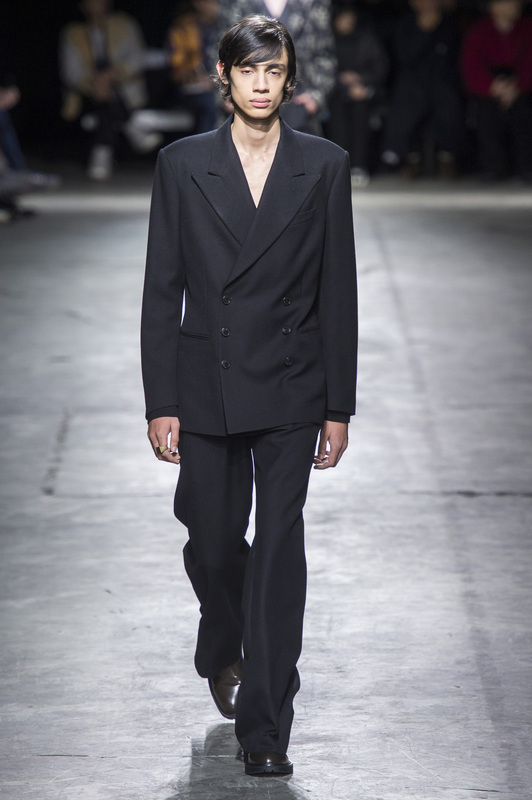 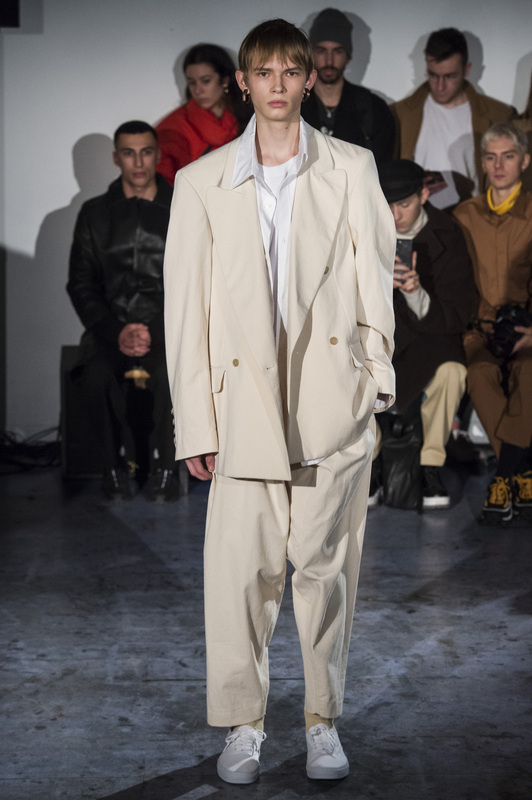 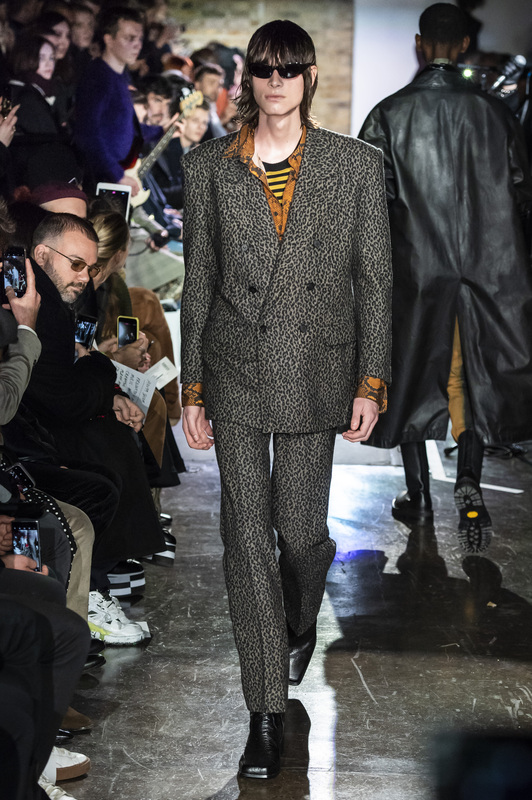 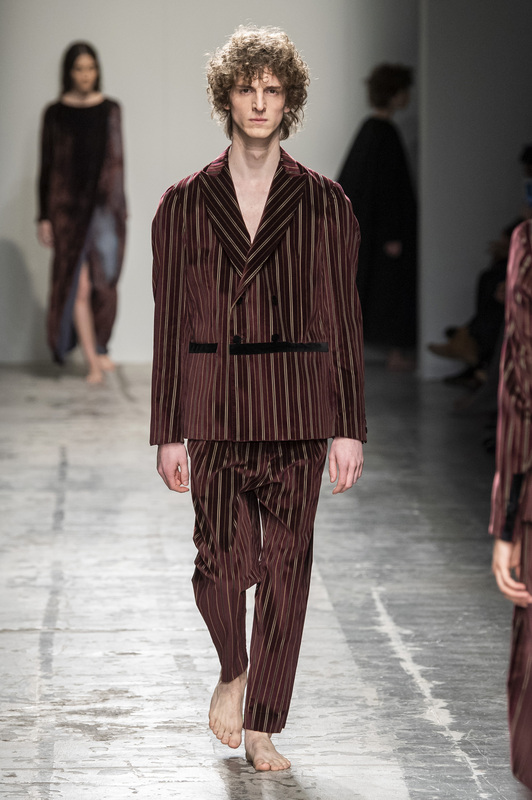 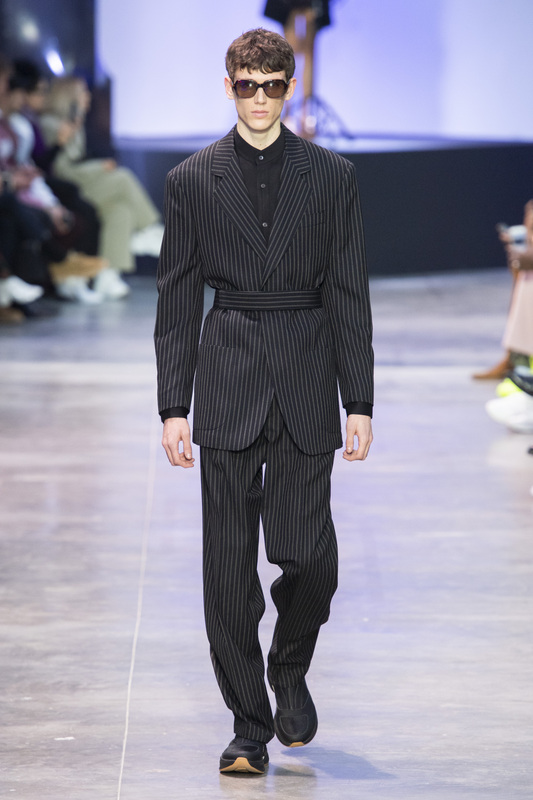 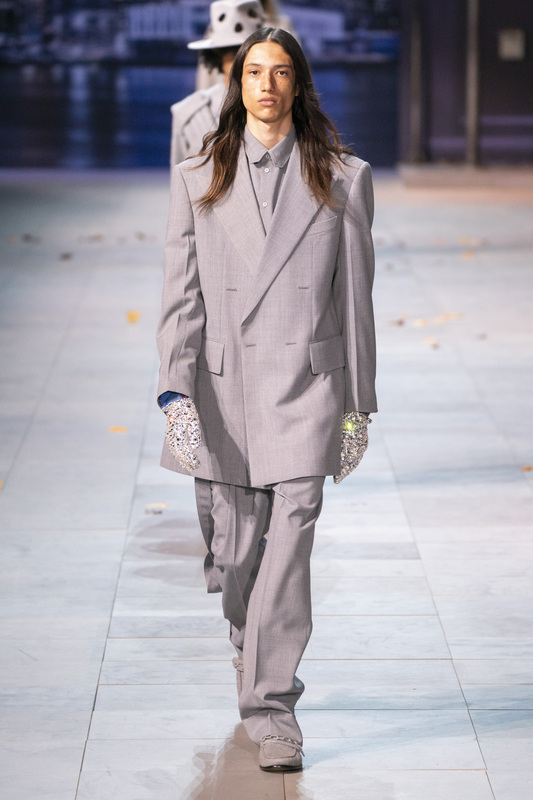 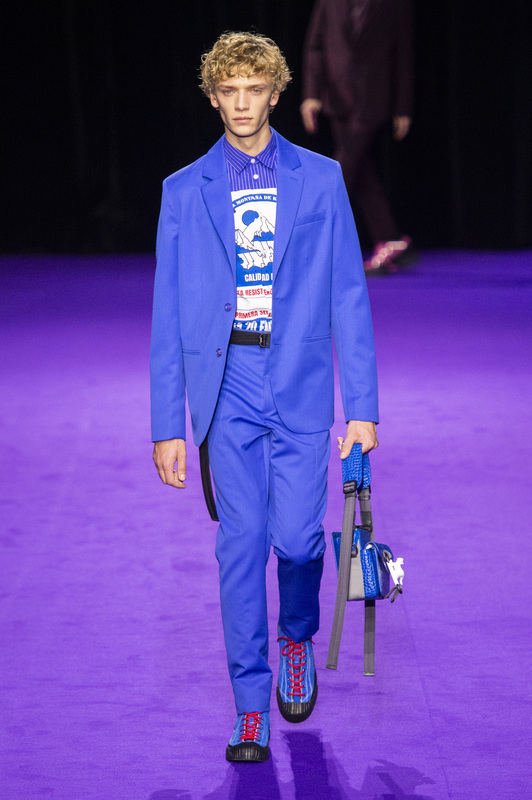 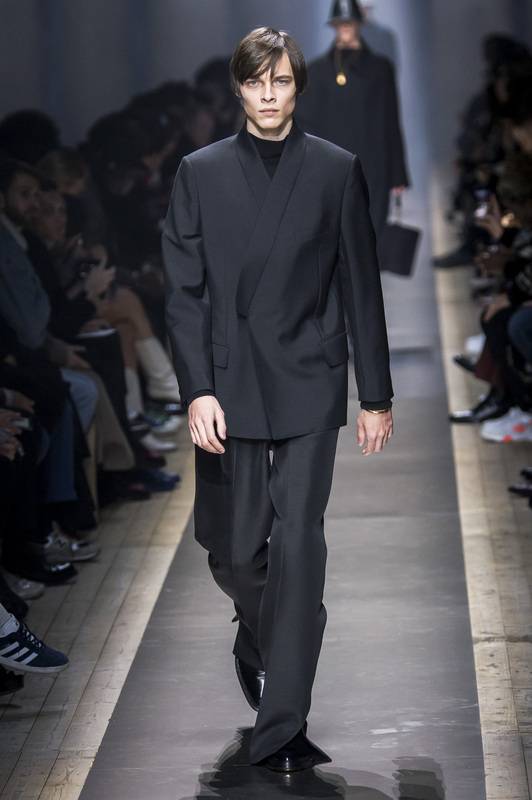 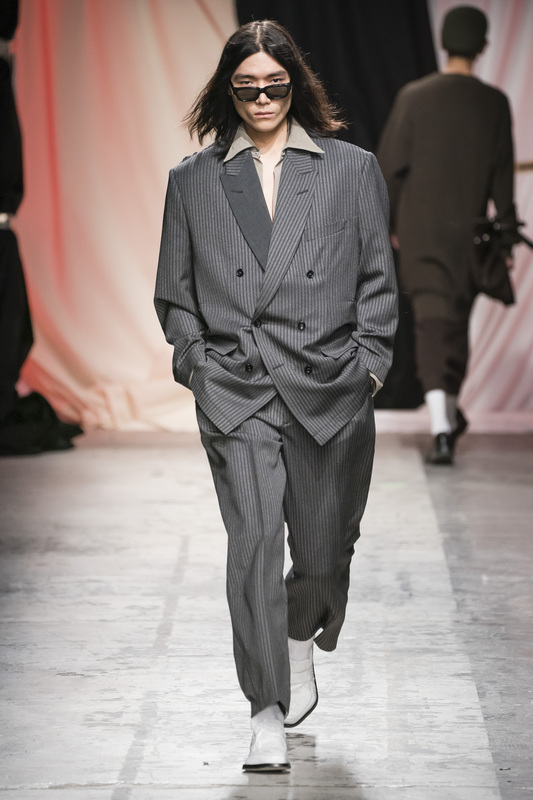 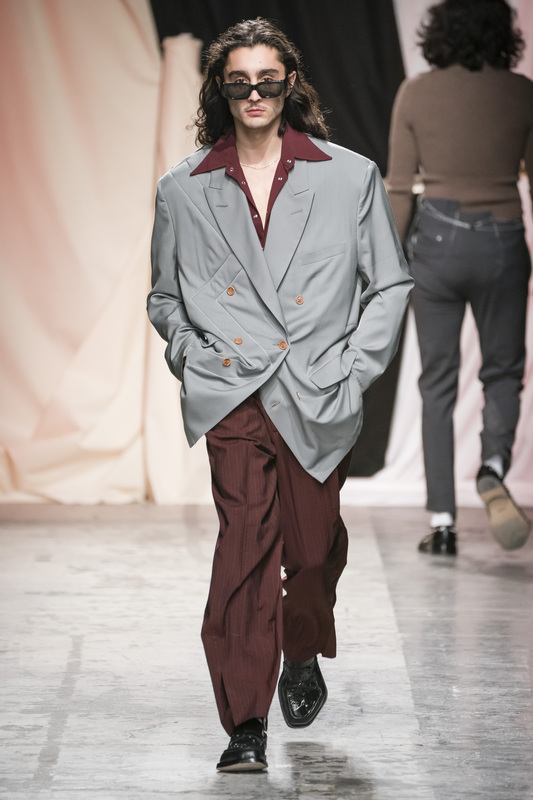 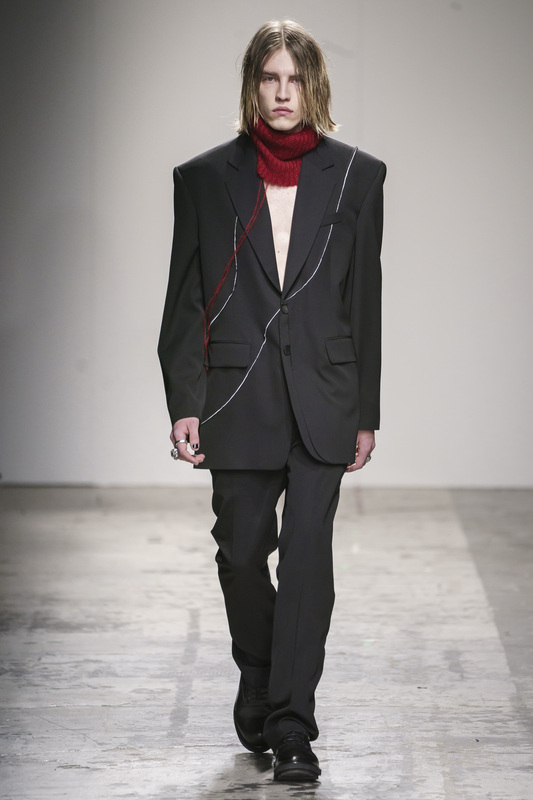 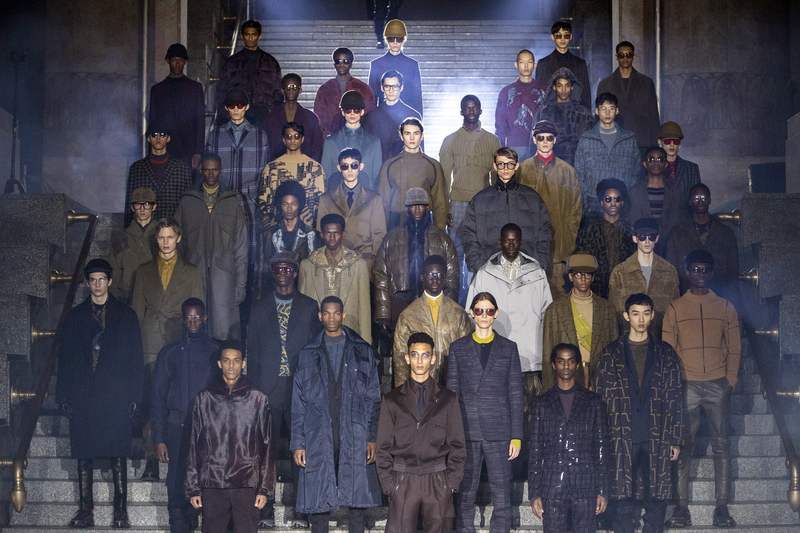 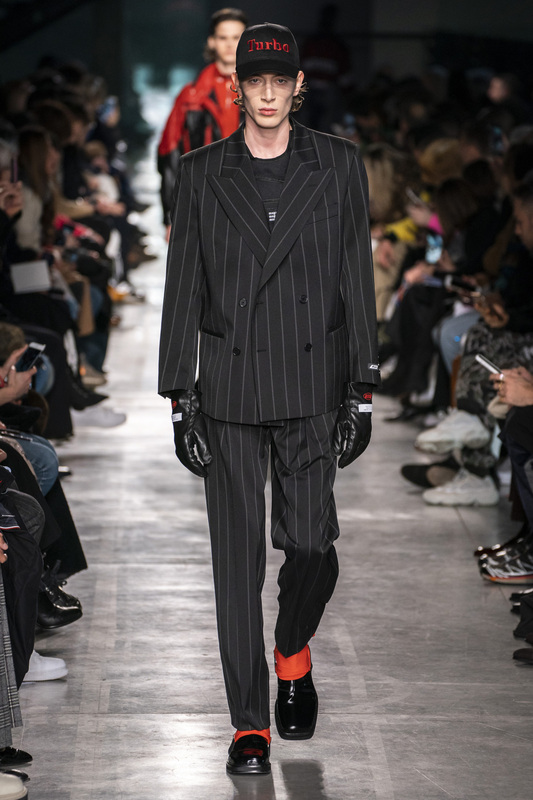 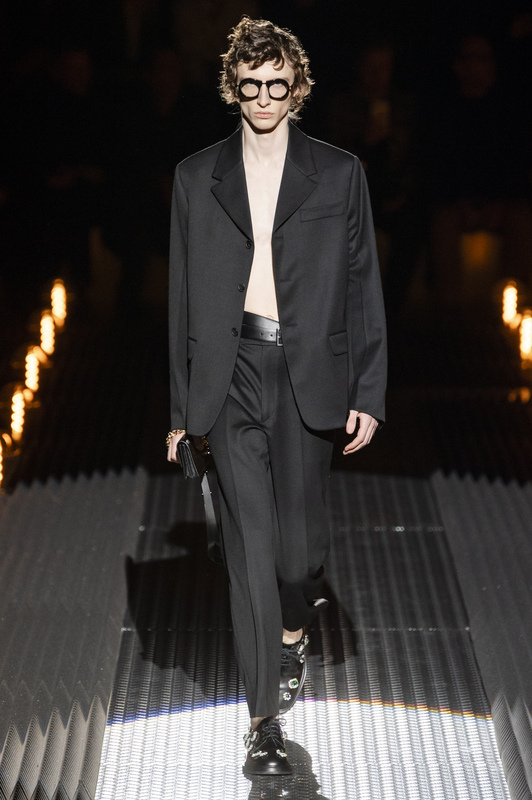 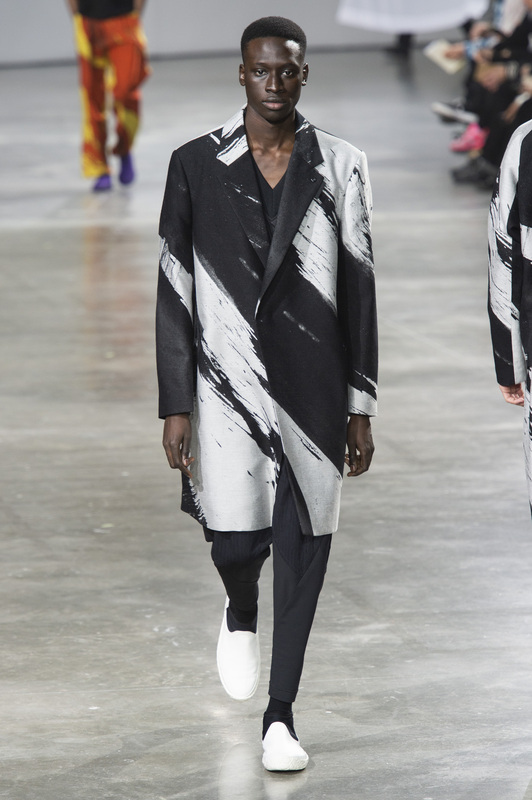 Several seasons ago the pendulum started to swing from Hedi Slimane’s ultrathin stovepipe suits that motivated Karl Lagerfeld to diet to David Byrne ‘One Size Fits All’ oversized suits. 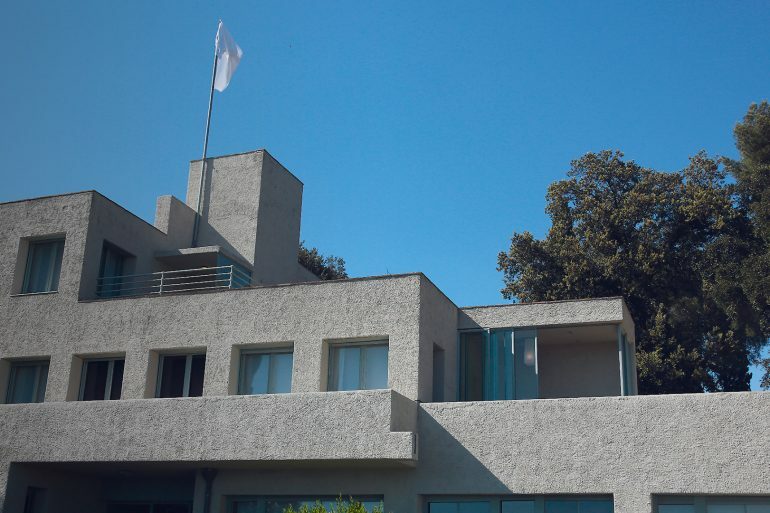 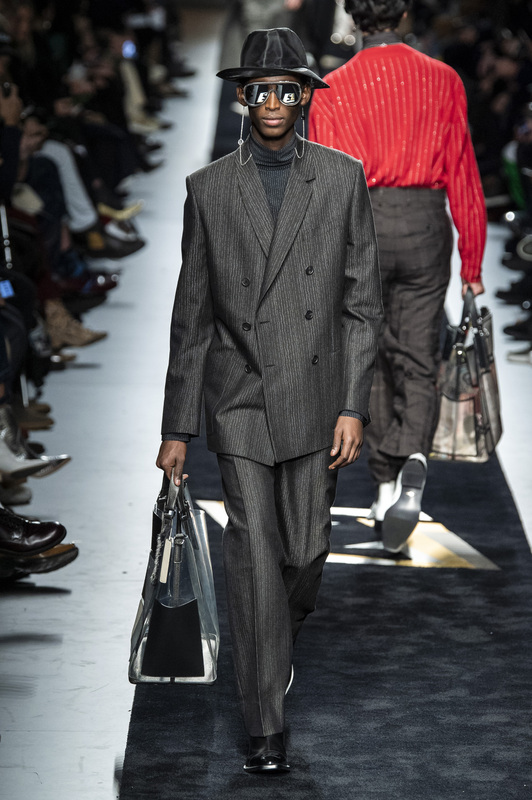 Today the pendulum is still in the boxy zone but for Fall 2019 it has started to shift just a tad toward the middle. 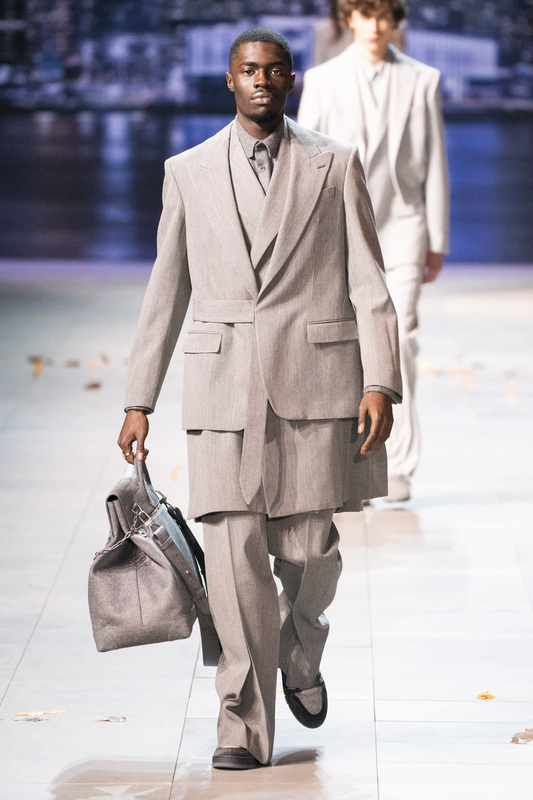 Although it is hard to tell with all that extra fabric. 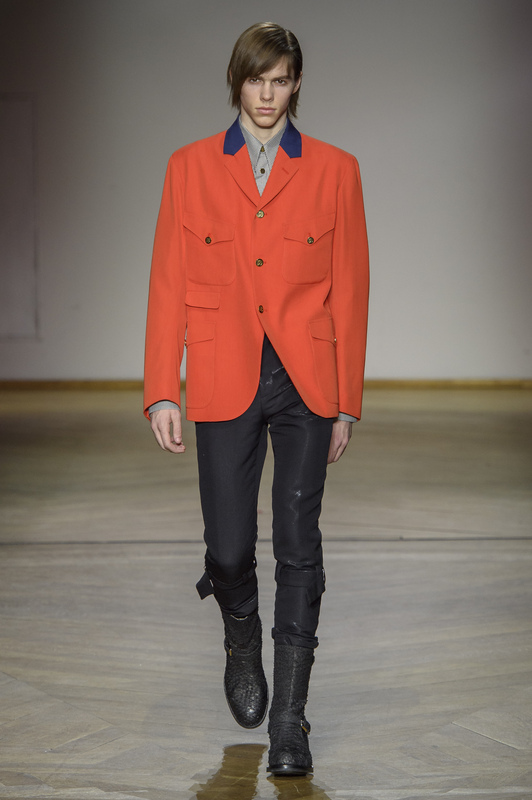 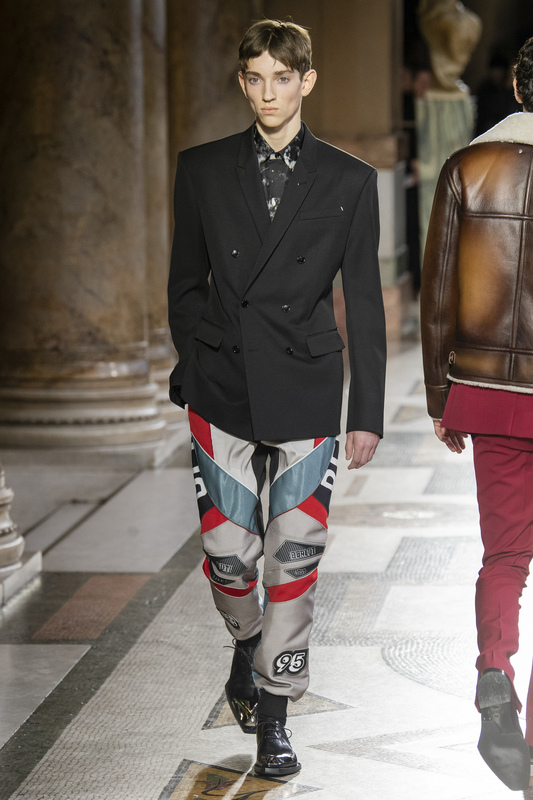 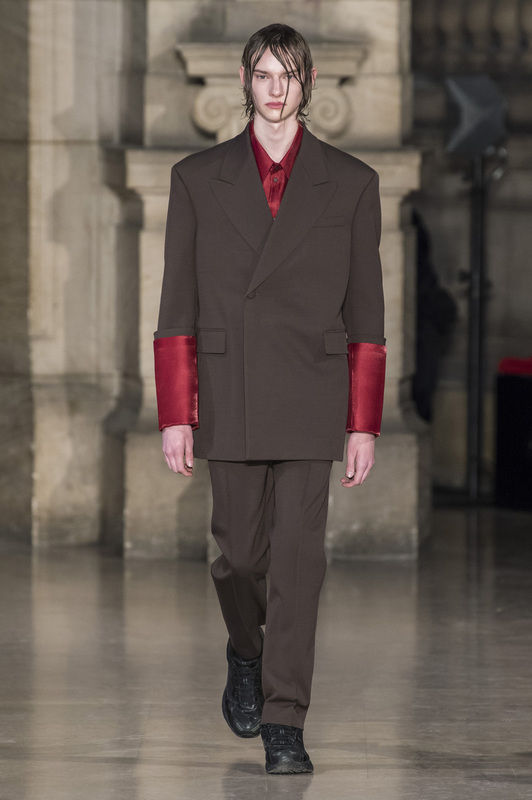 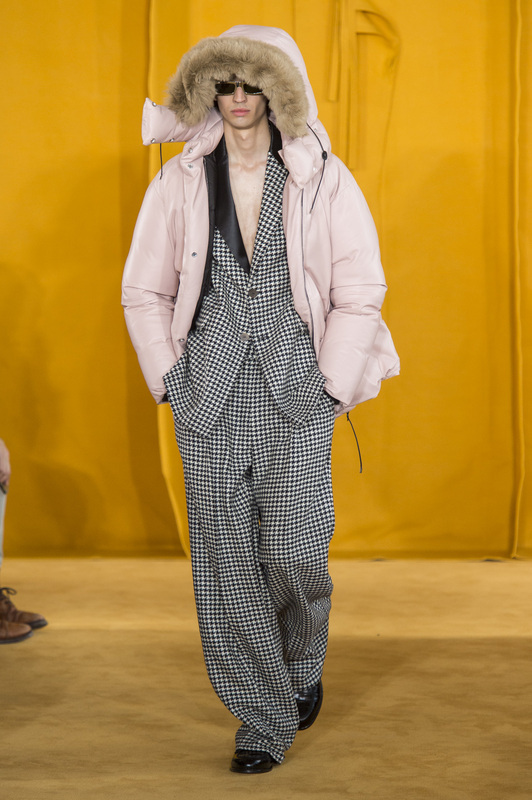 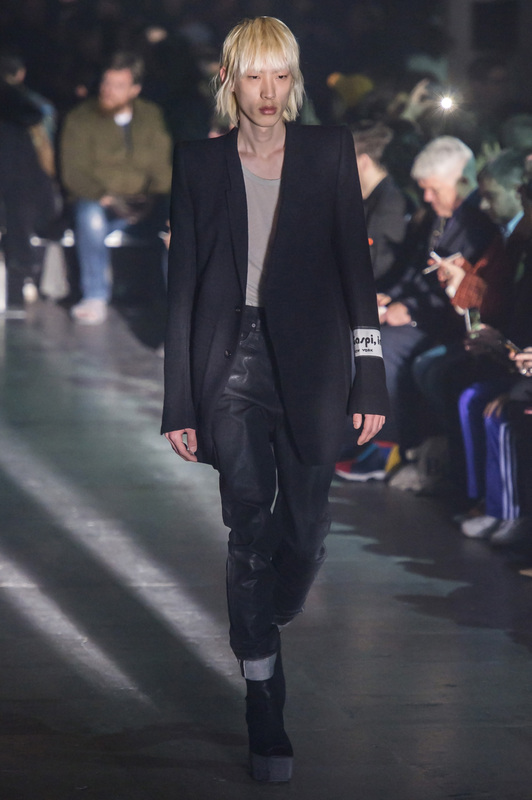 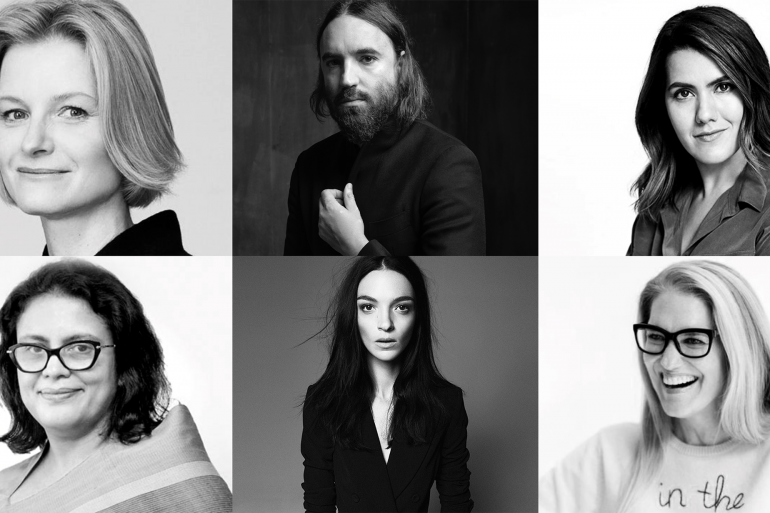 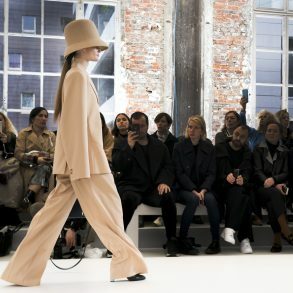 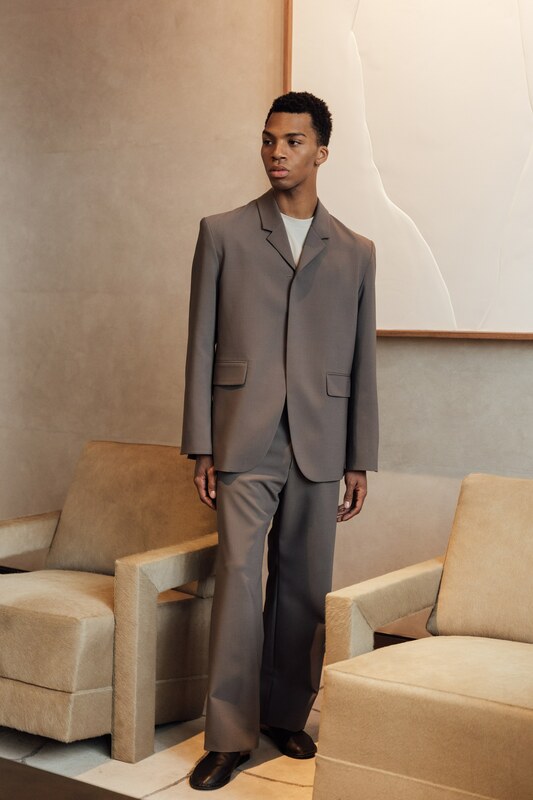 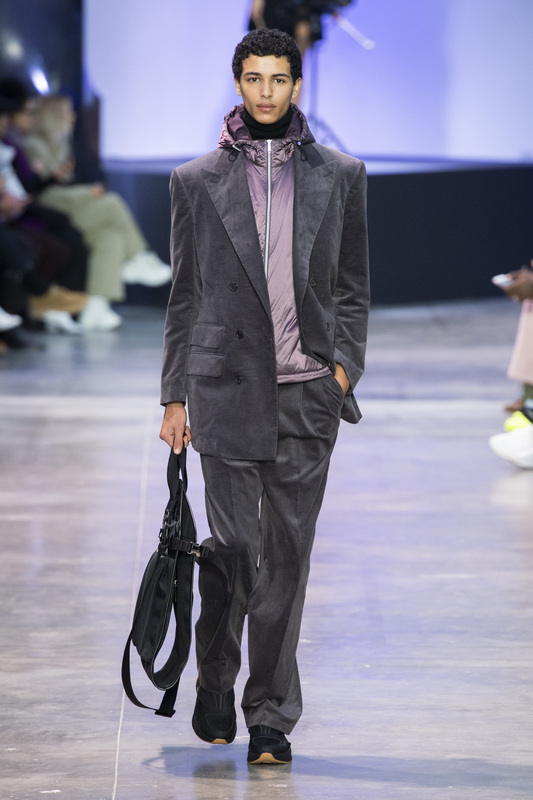 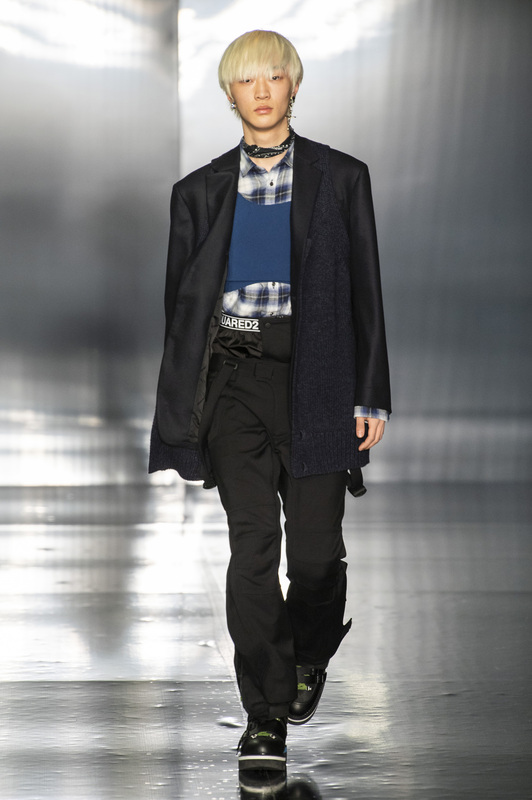 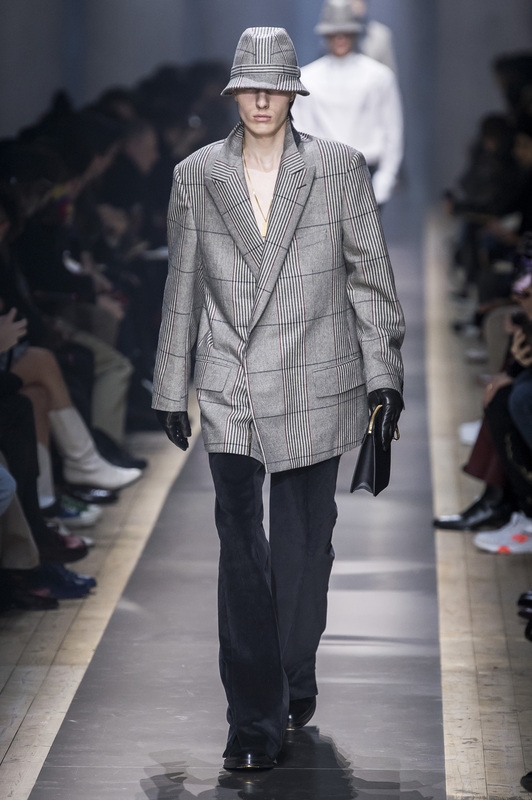 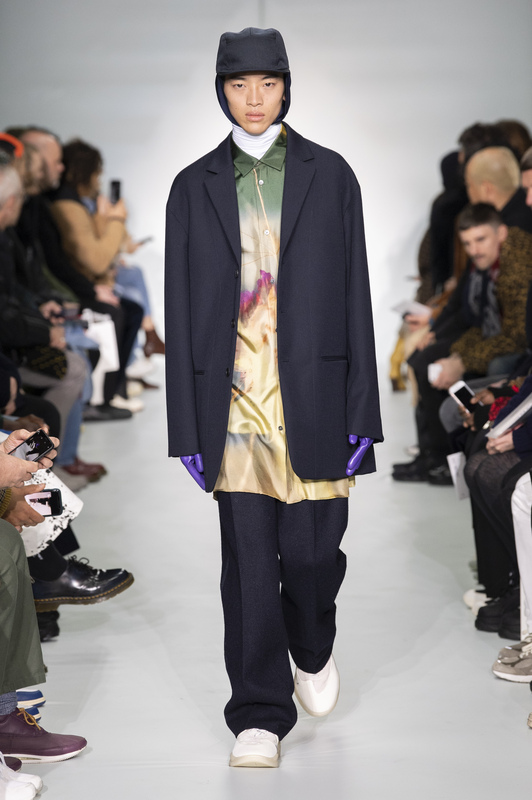 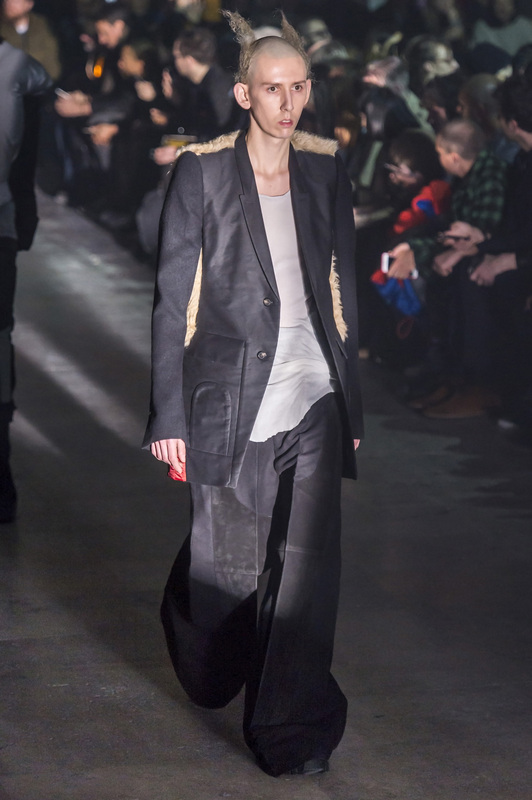 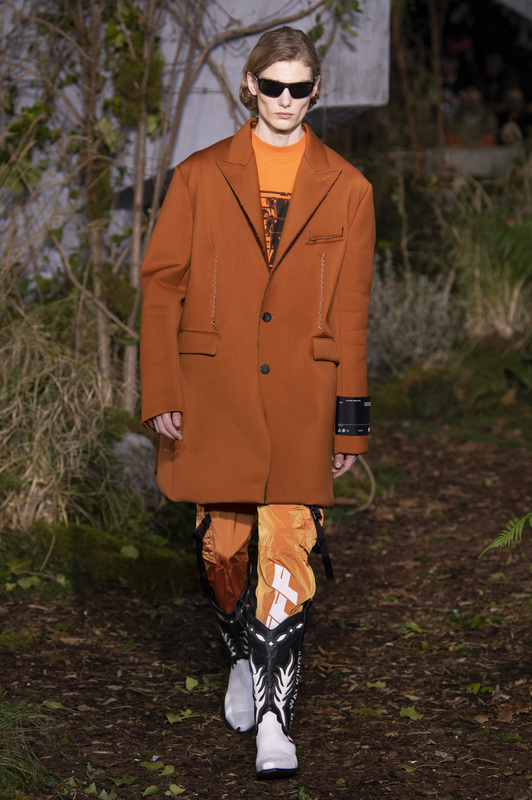 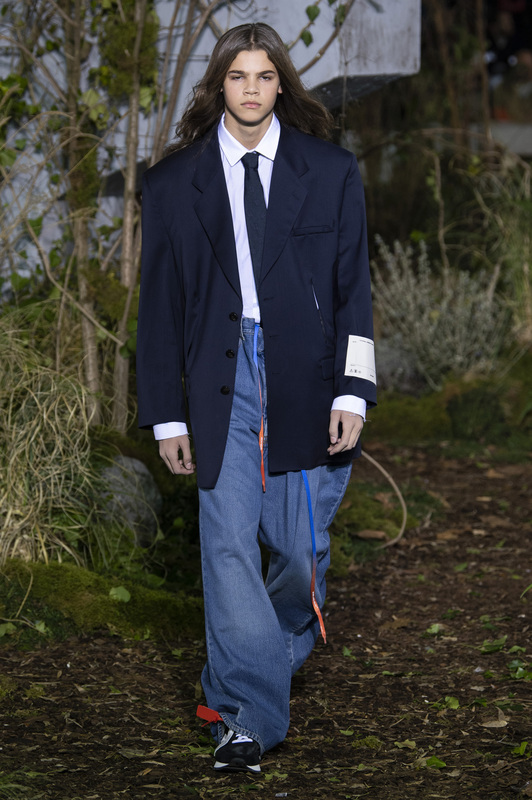 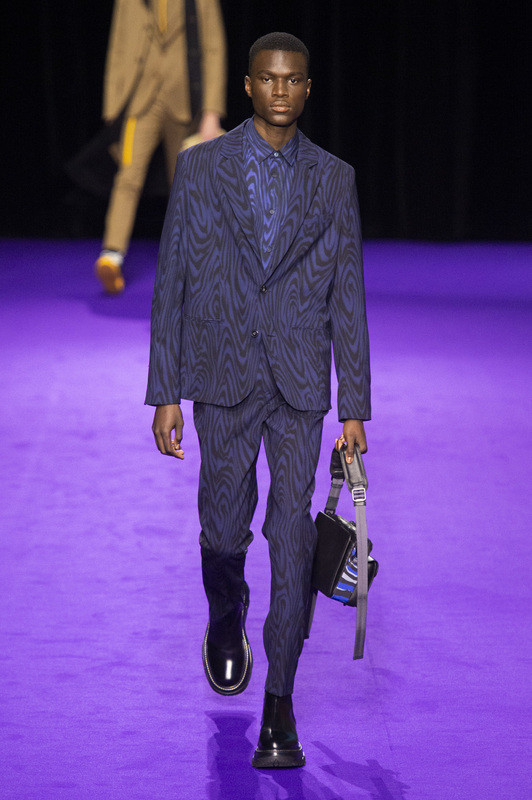 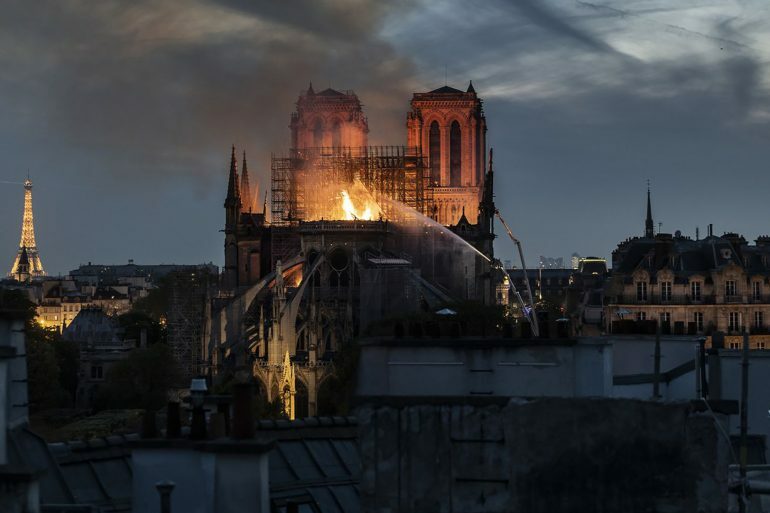 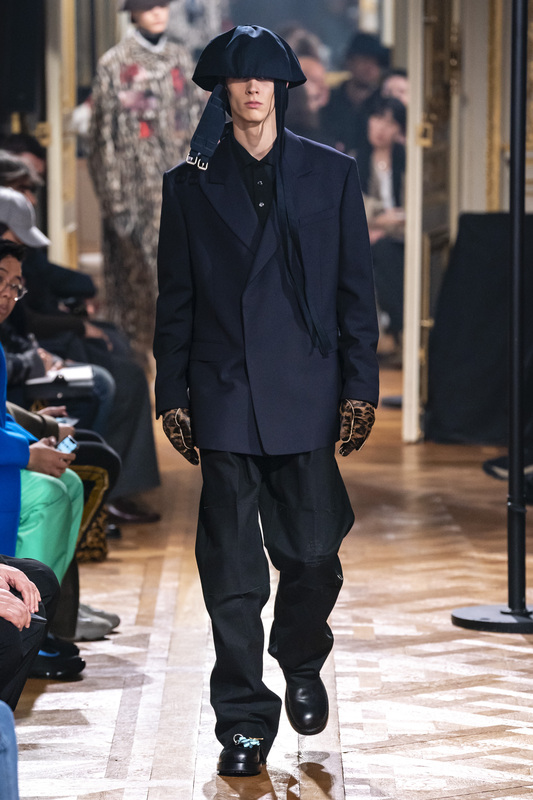 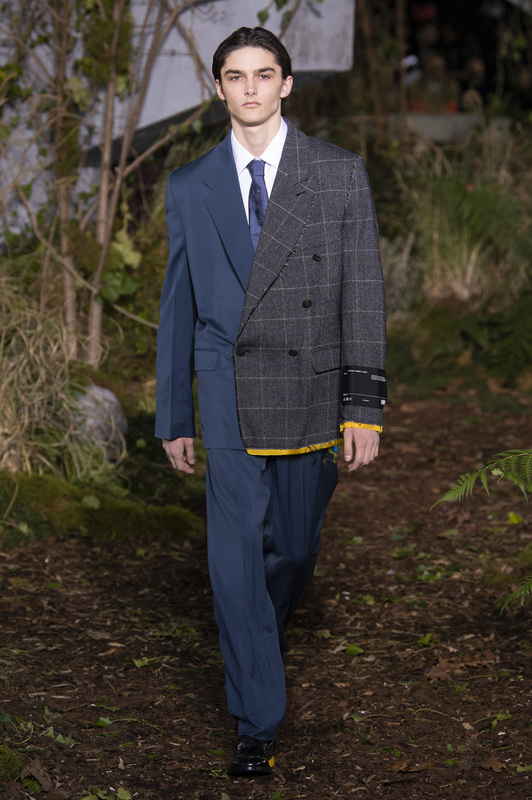 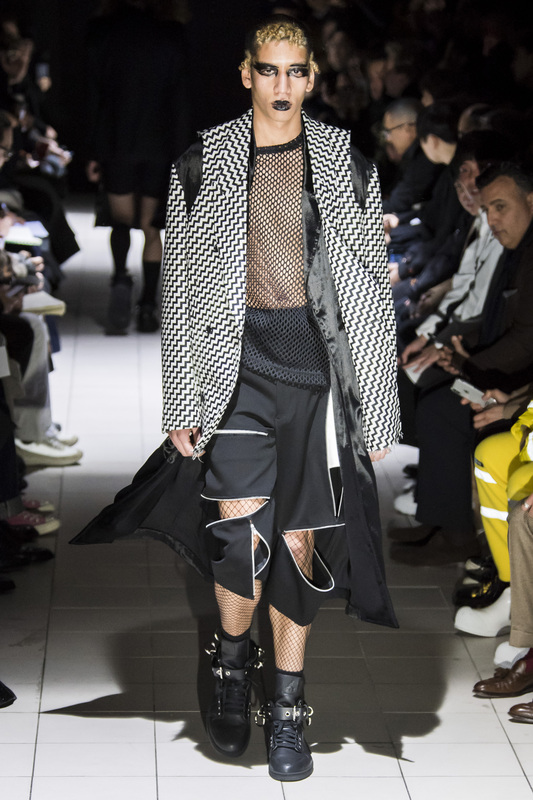 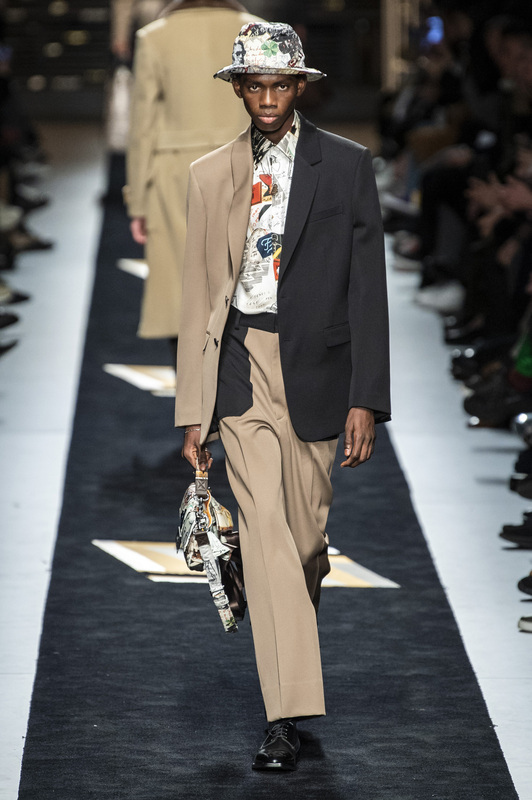 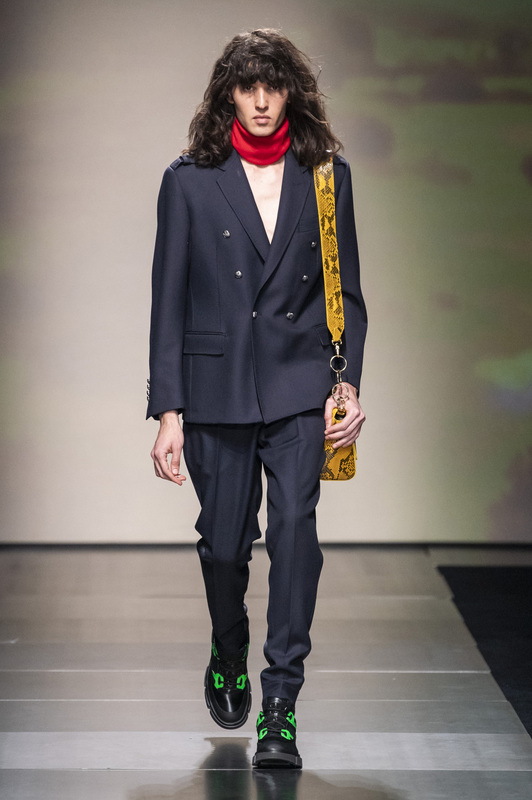 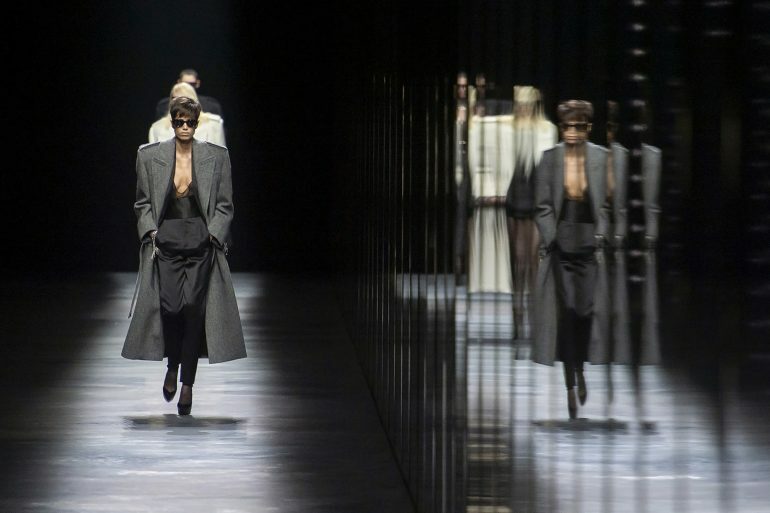 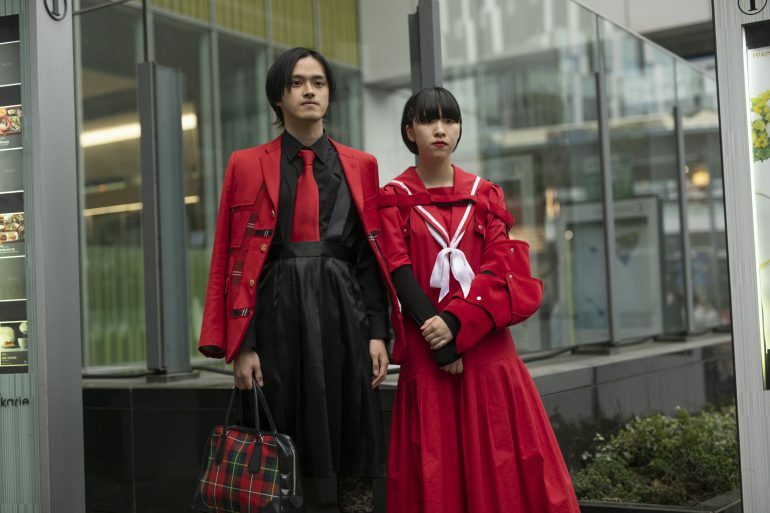 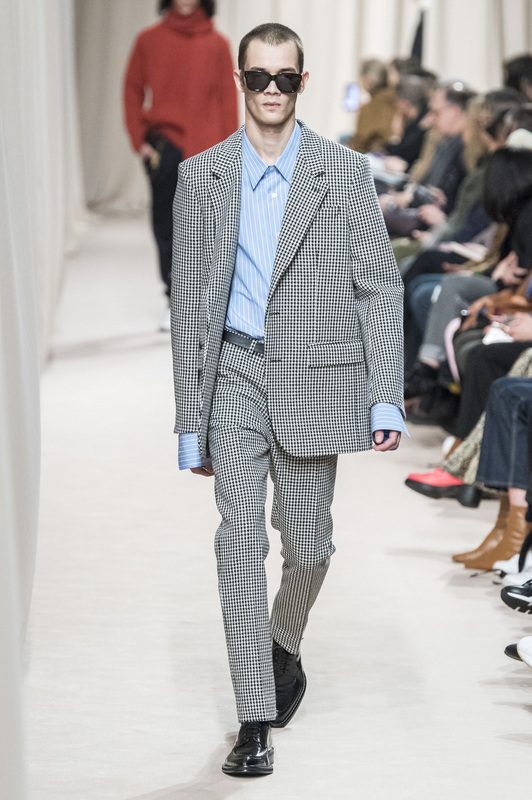 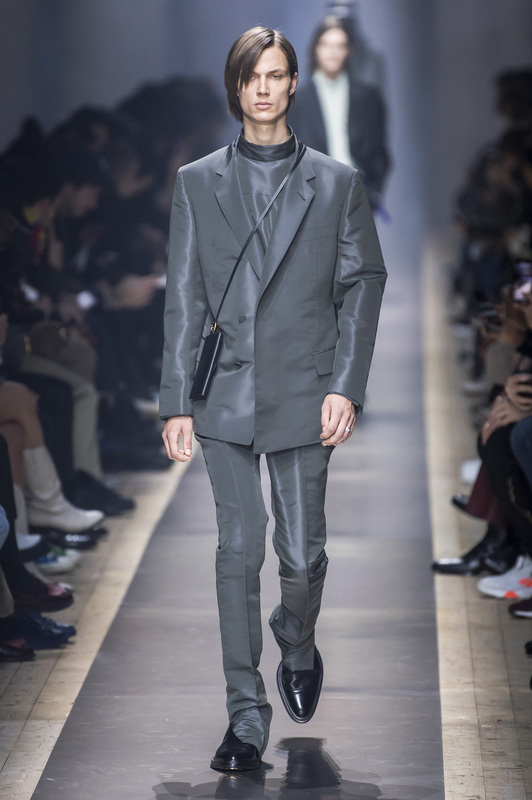 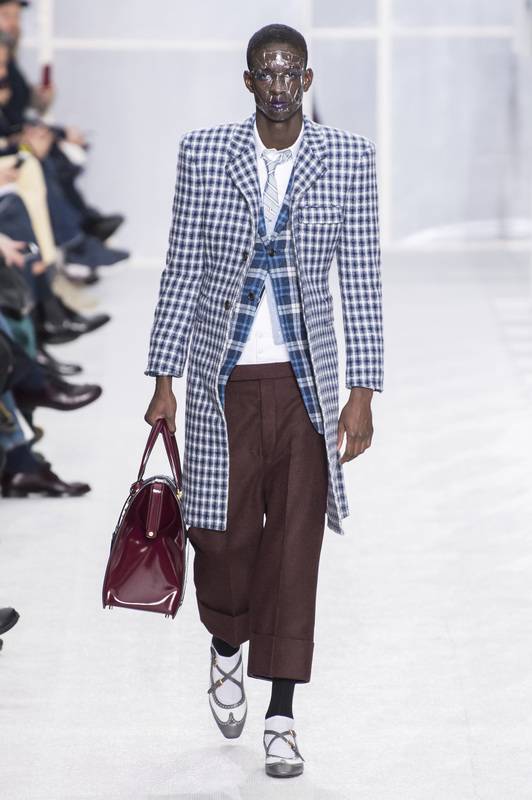 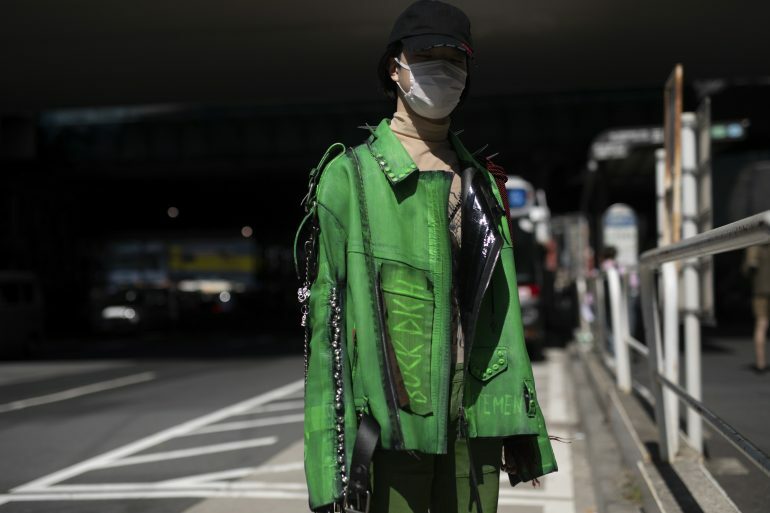 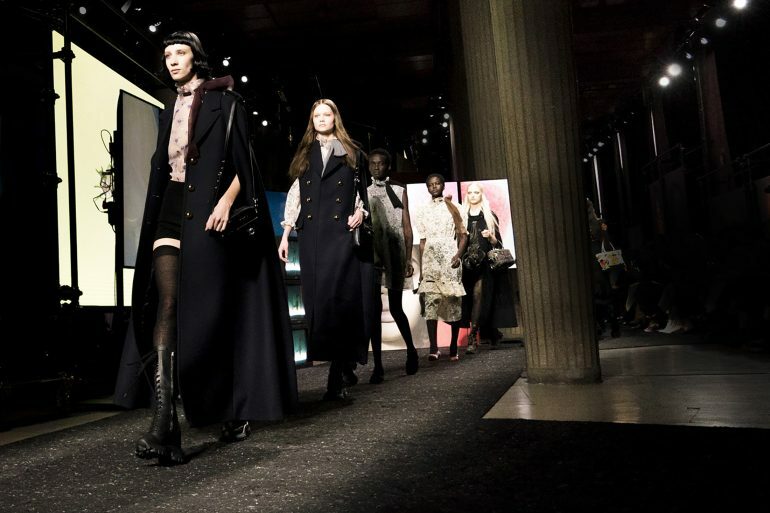 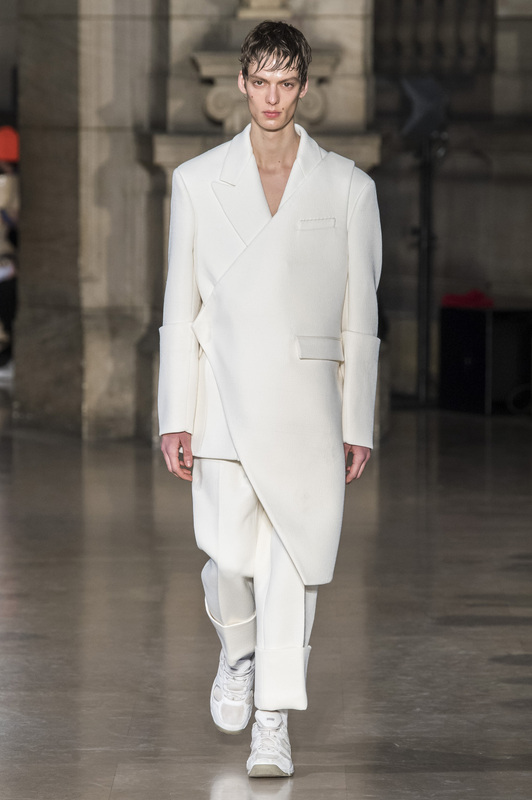 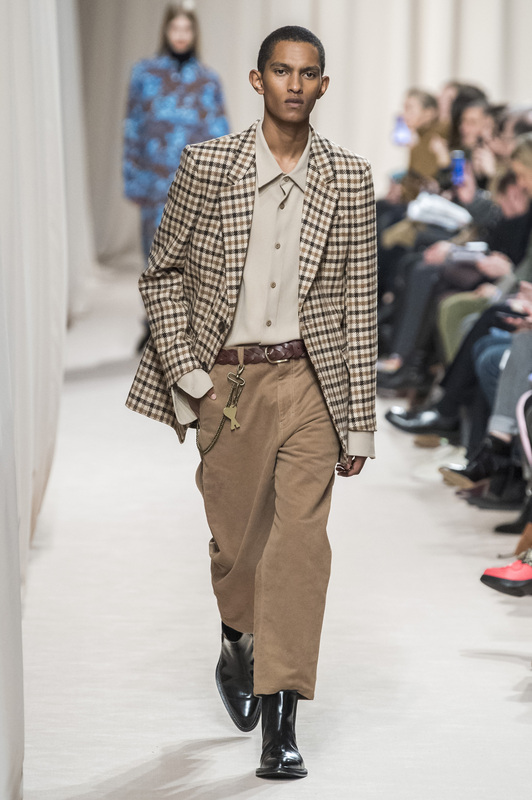 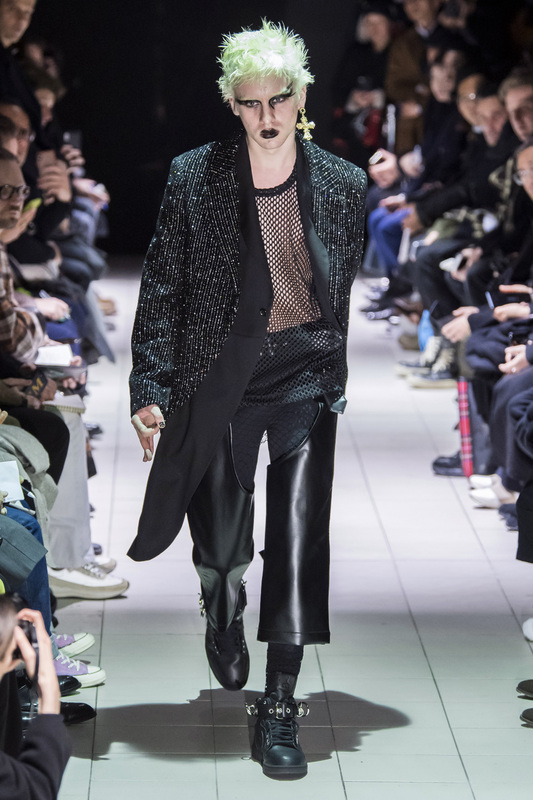 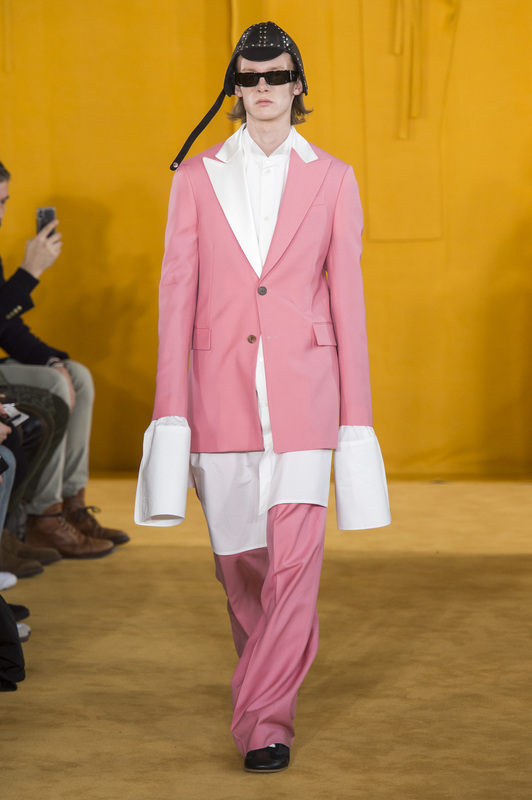 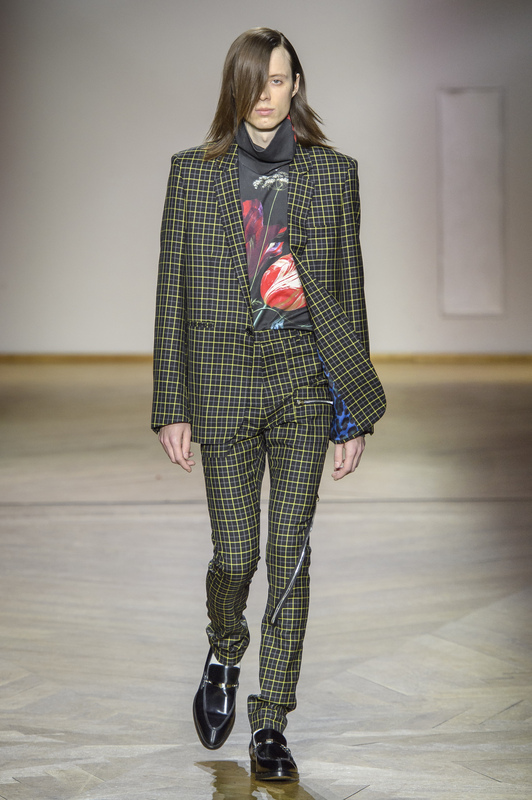 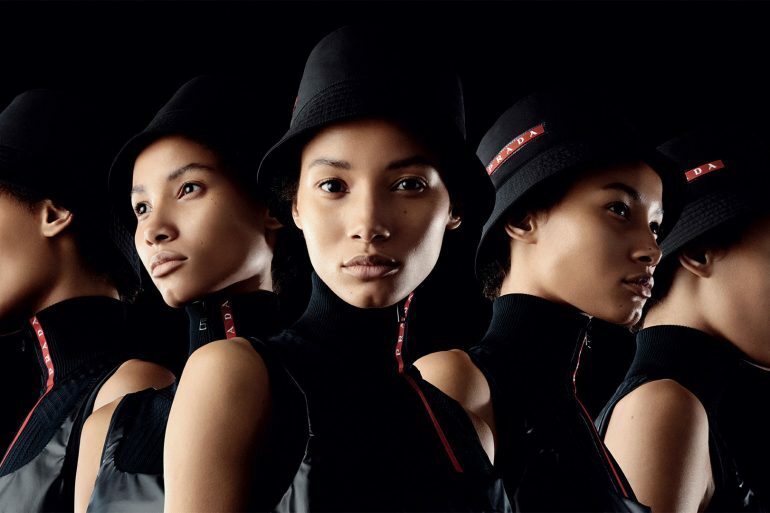 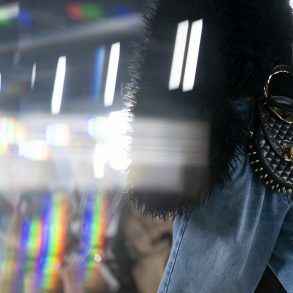 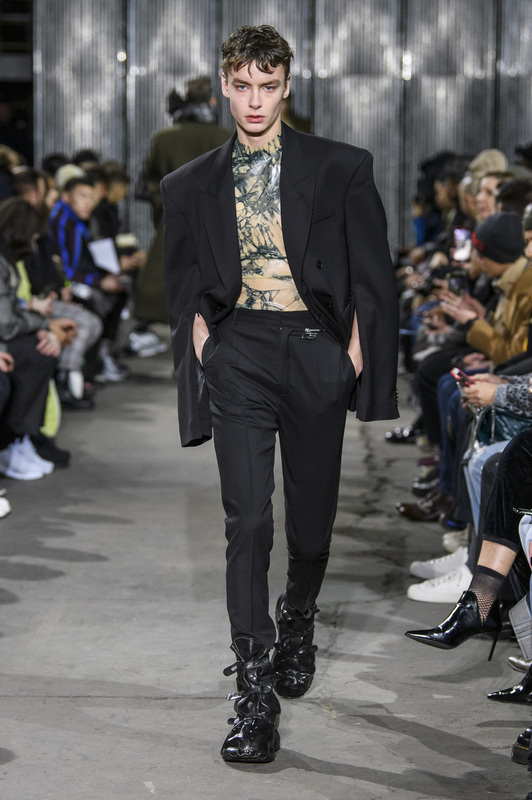 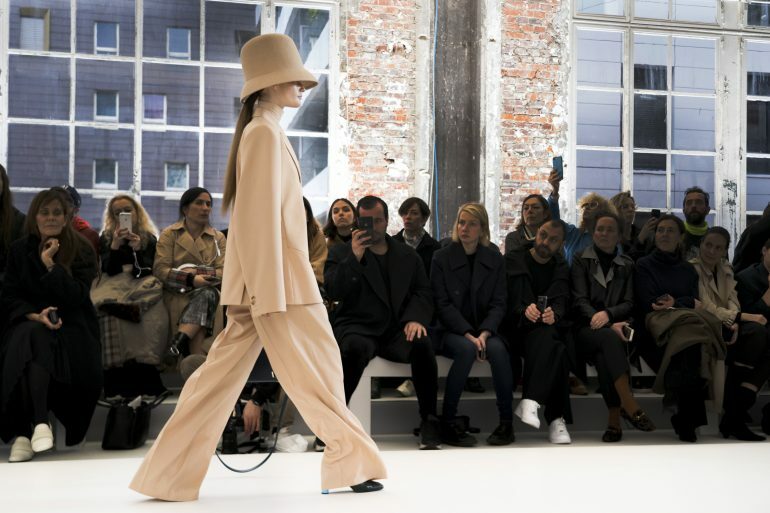 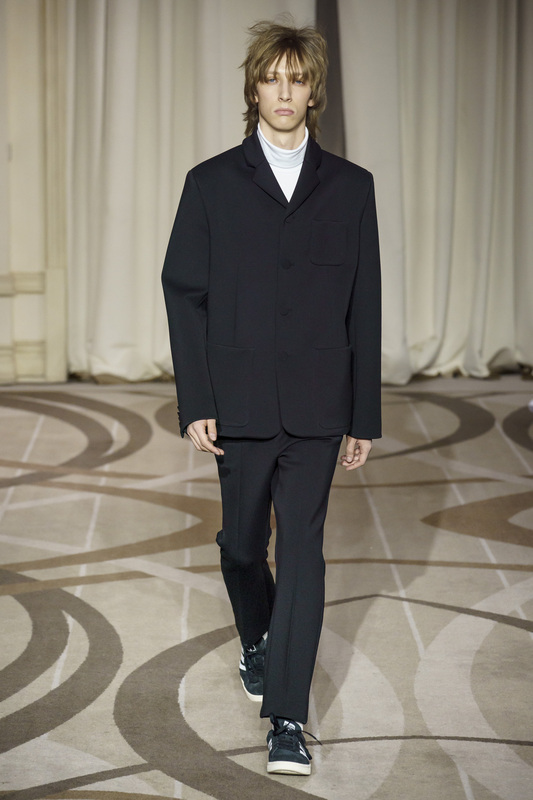 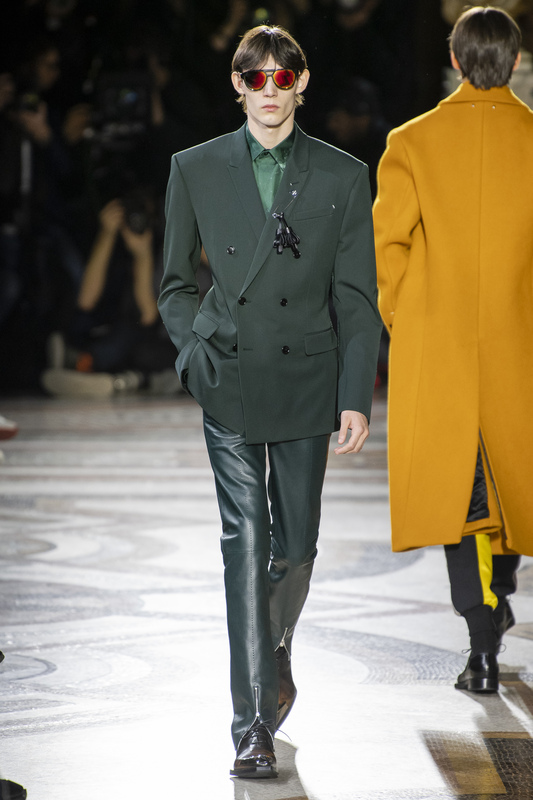 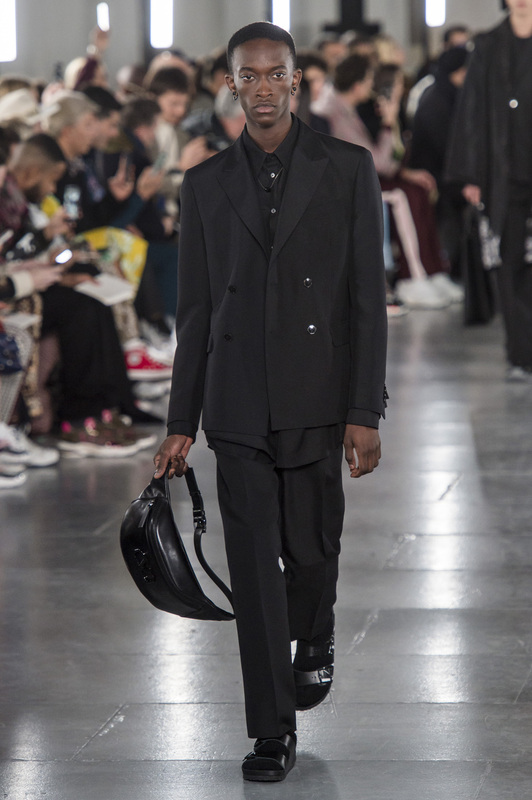 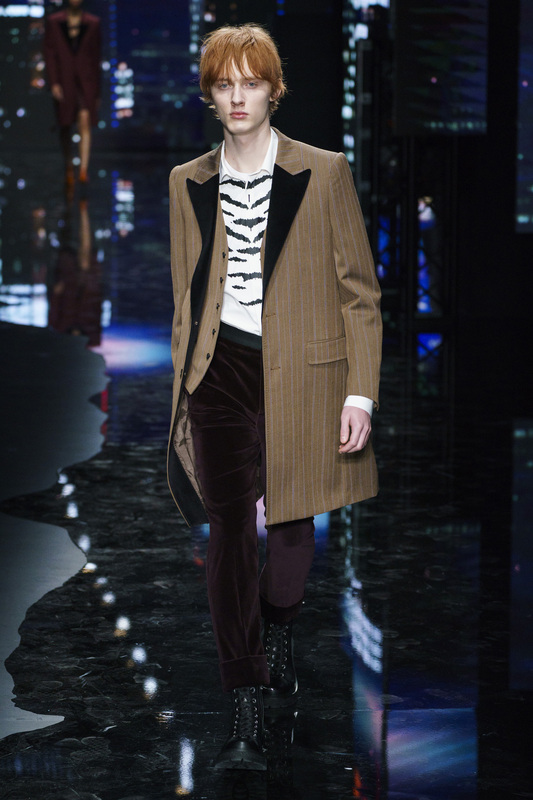 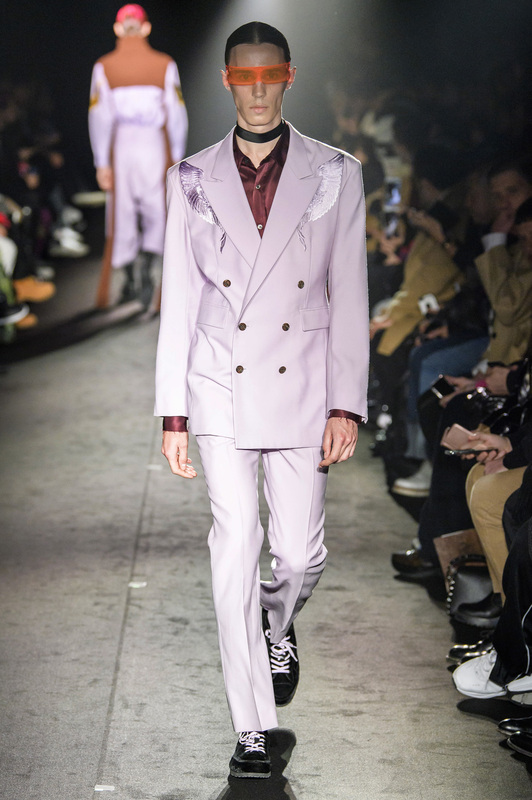 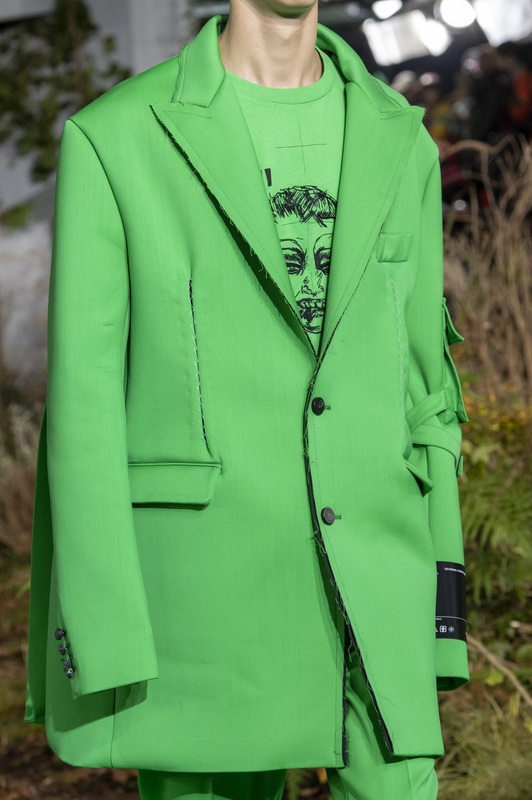 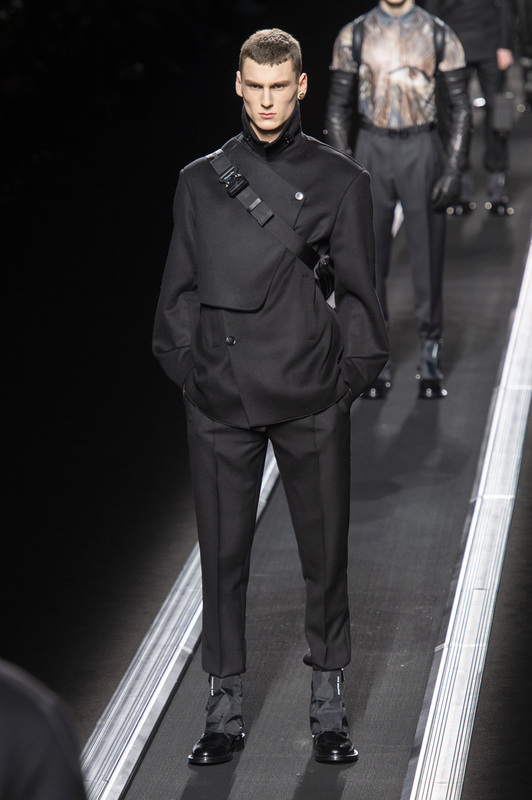 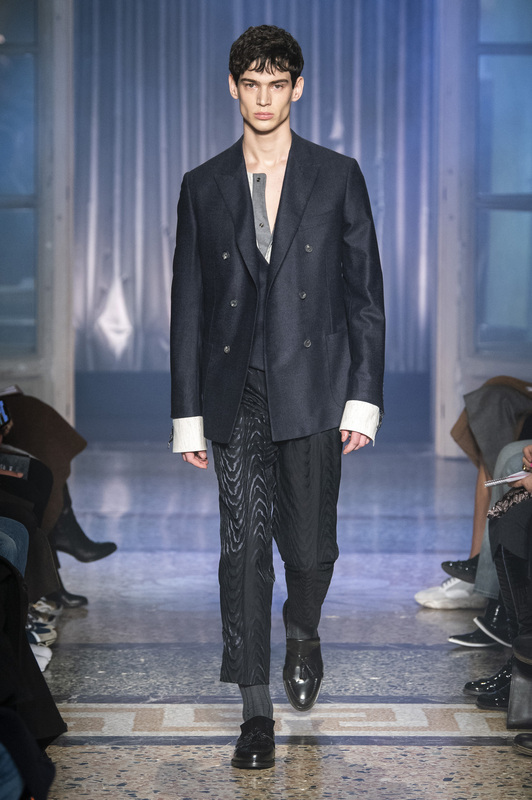 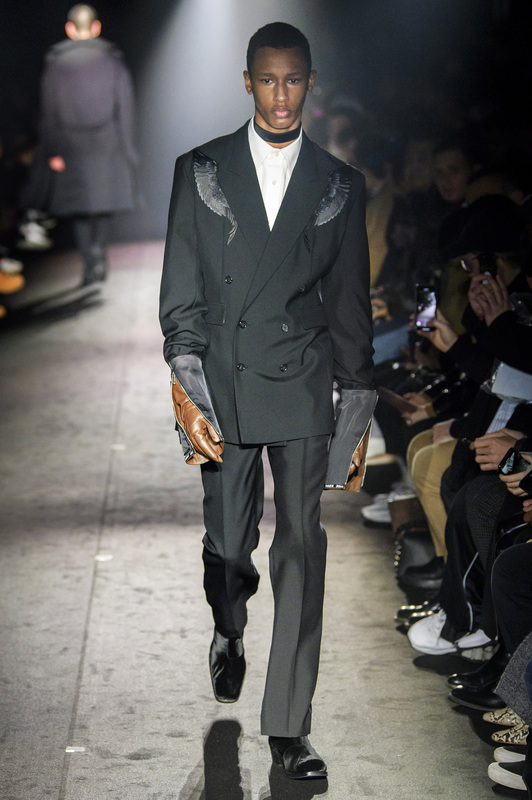 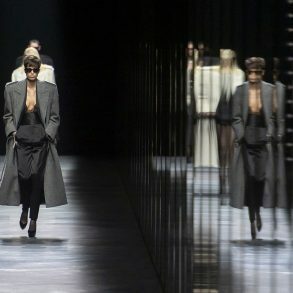 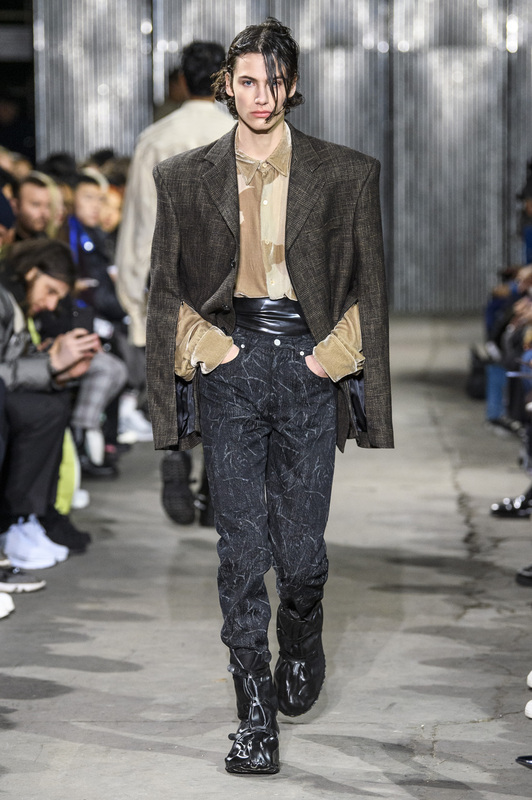 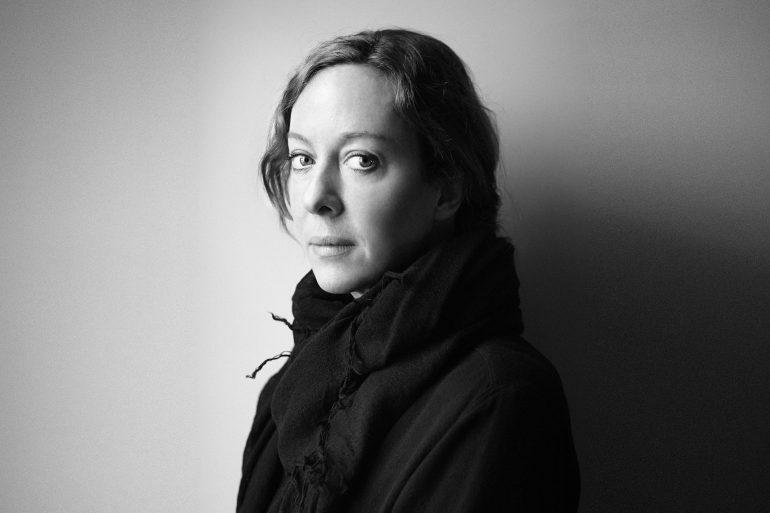 Vetements, Raf Simons, Prada, Off-White, Neil Barrett and even Kim Jones at Dior hedged their bets this season on the box as extended shoulder pads made a return to help offset the extra room. 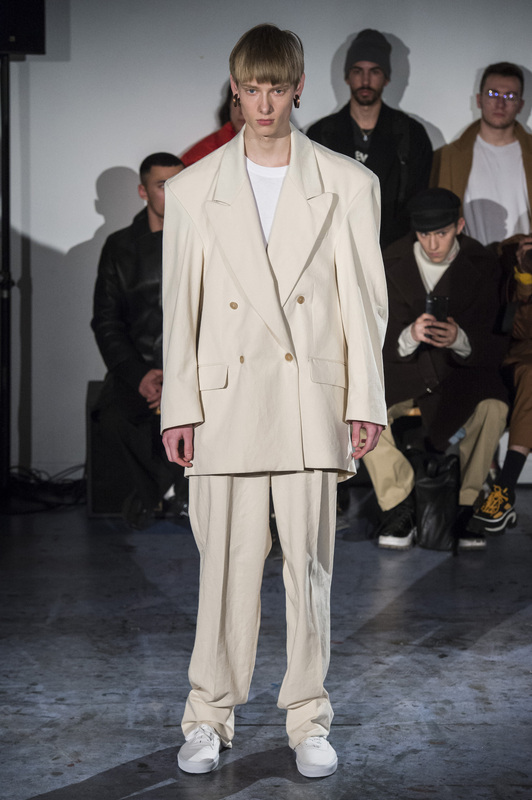 Meanwhile, the legroom remained straight to slightly tapered to balance out the proportion up top presenting the classic ‘Y’ silhouette that had its heyday in the 80s. 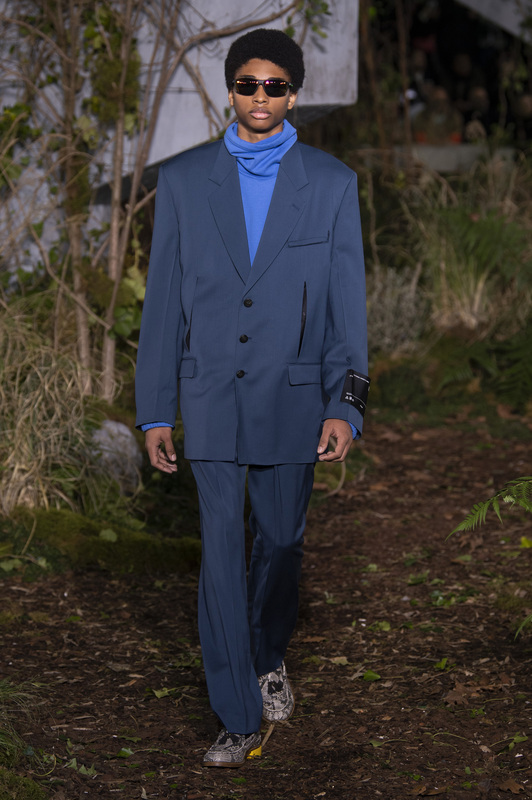 That trend was a by-product of the gym and action stars like Arnold Schwarzenegger and Sylvester Stallone. 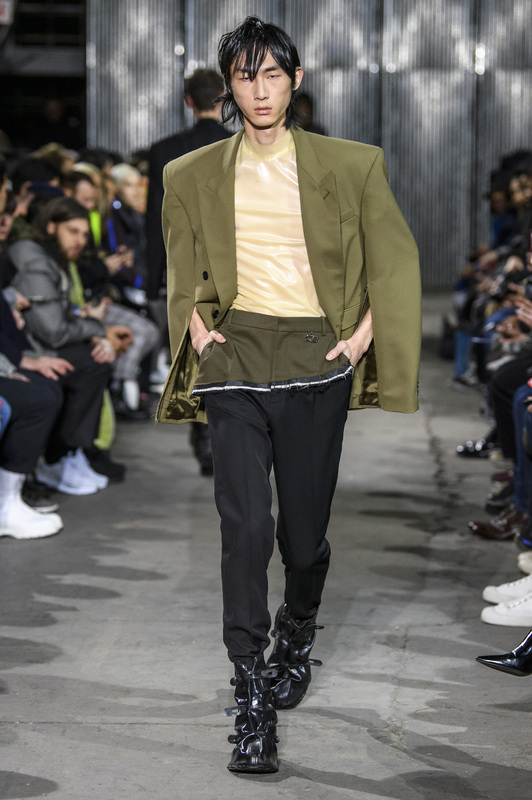 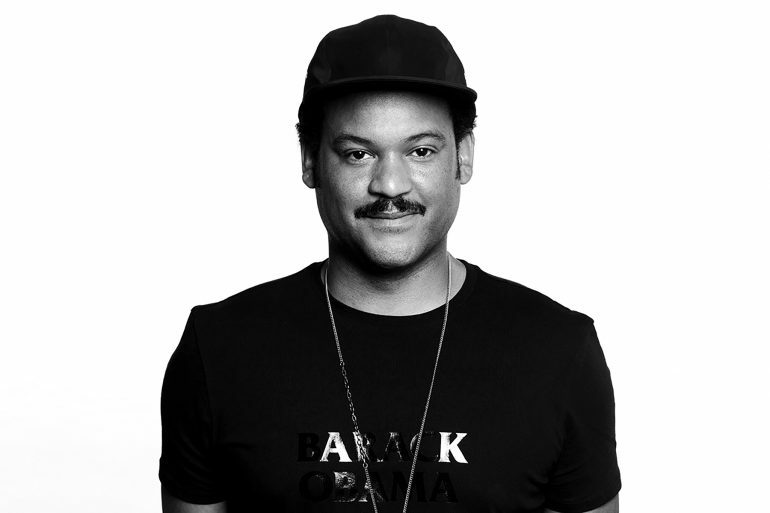 Today the gym is a standard MO, and designers have revised the trend not so much as to augment the male physique, but in a punk fashion, to hide it.